We had fun and we hope you did too! 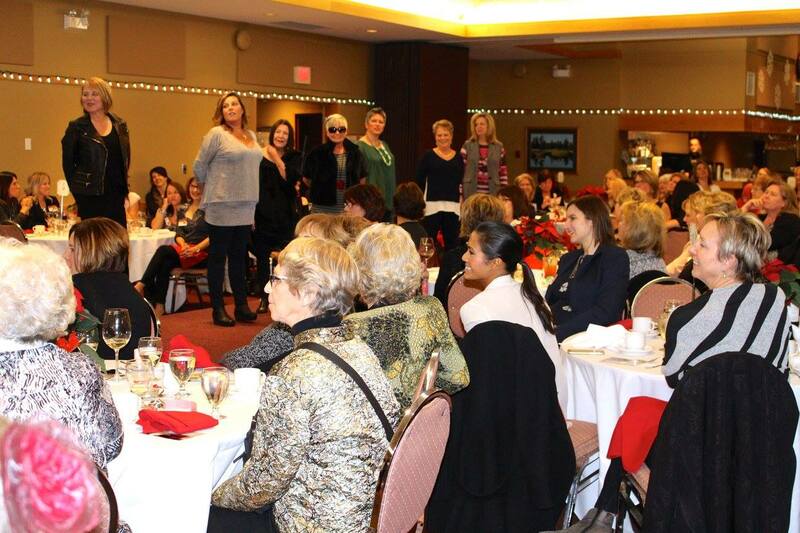 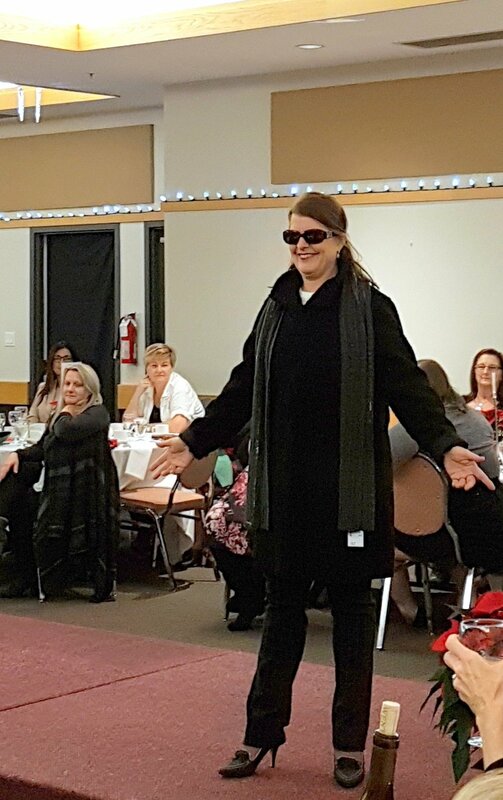 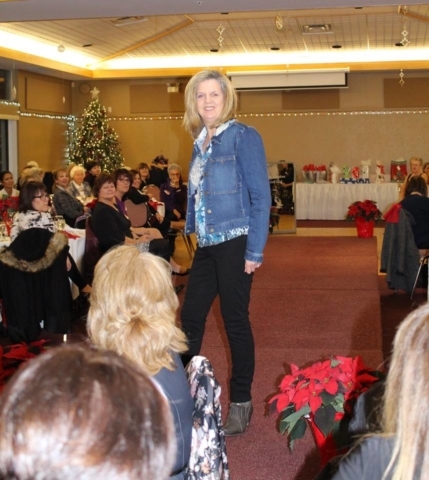 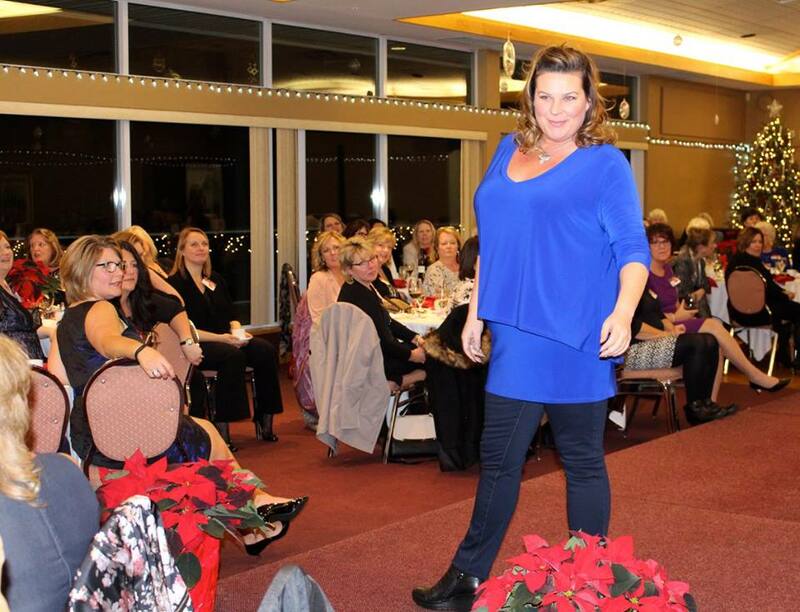 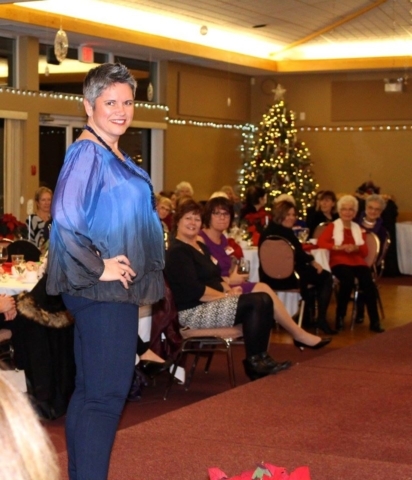 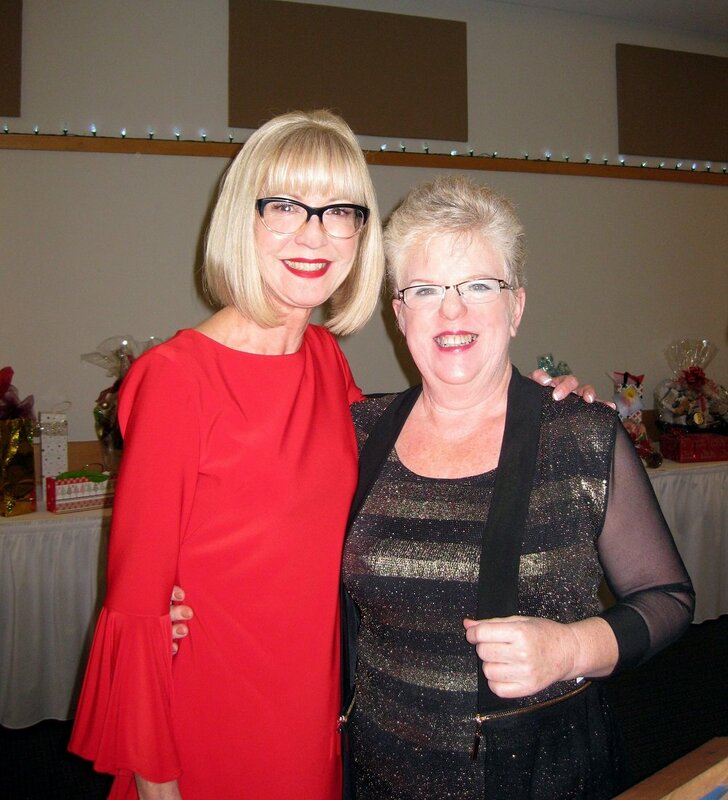 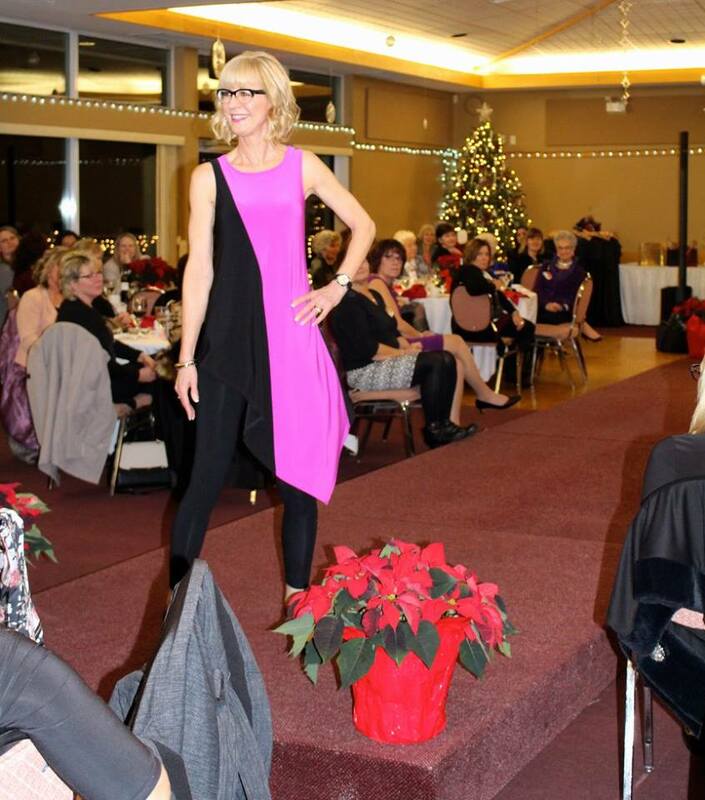 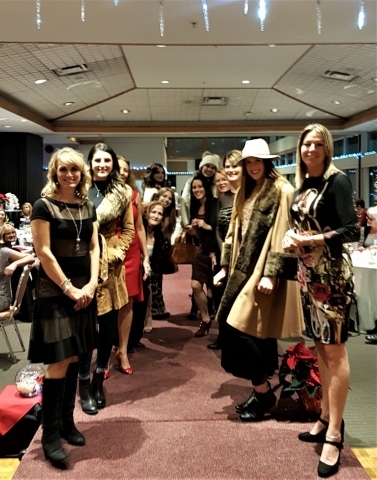 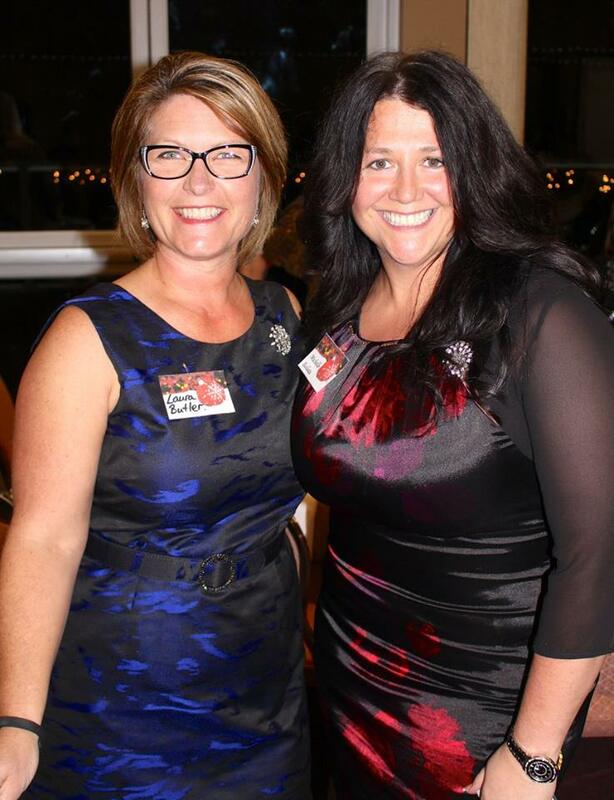 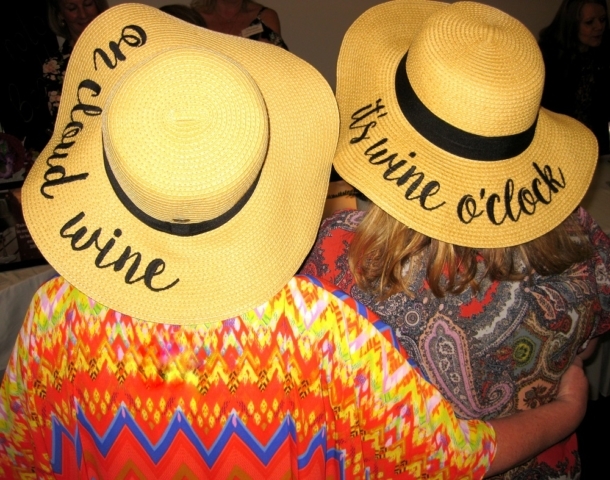 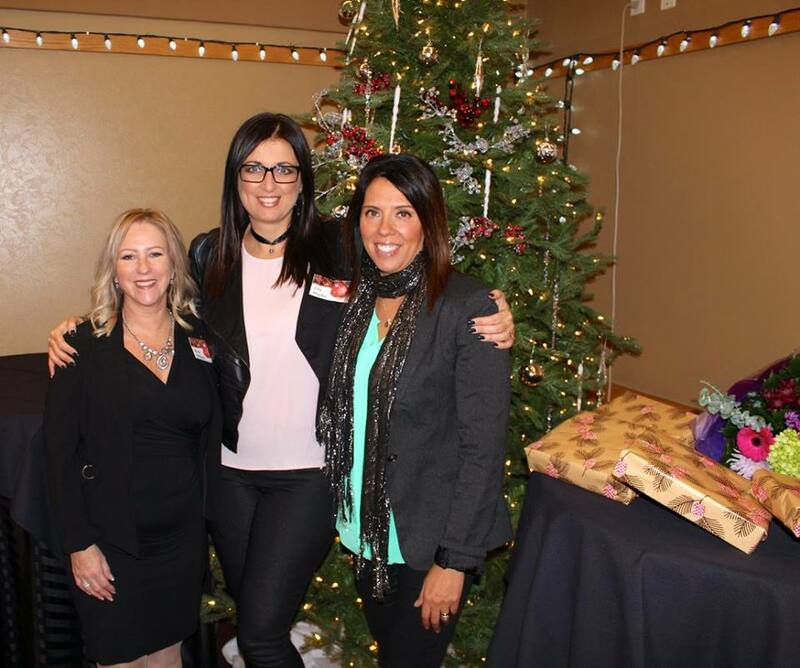 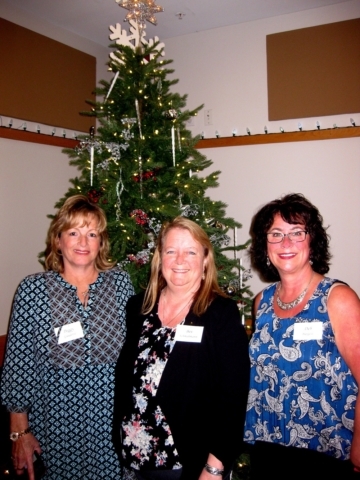 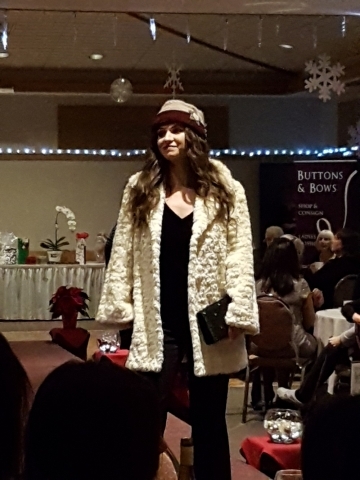 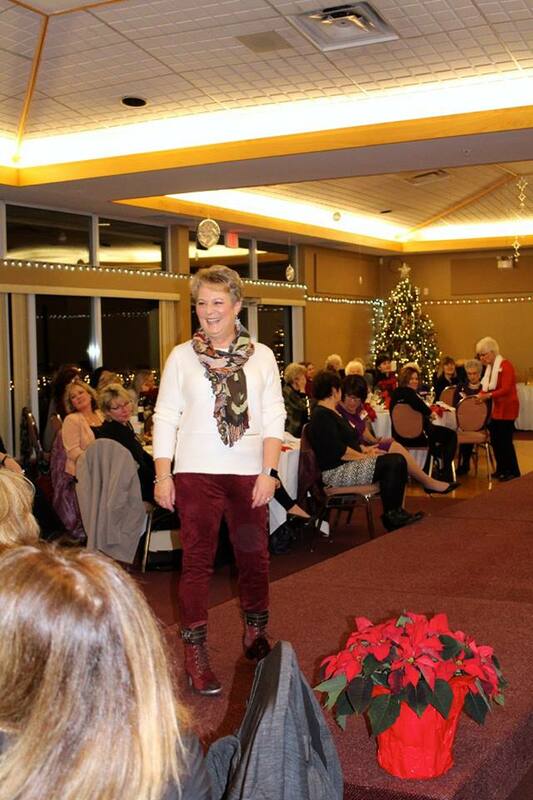 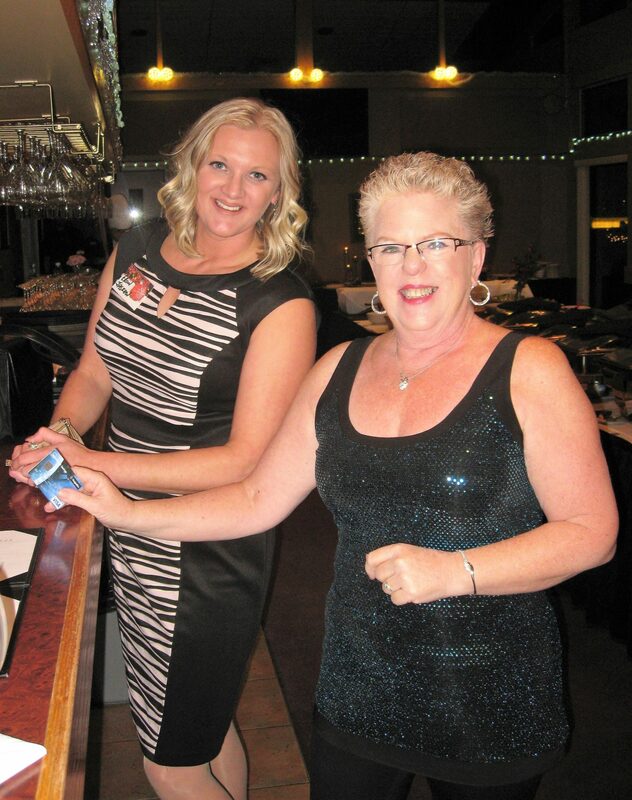 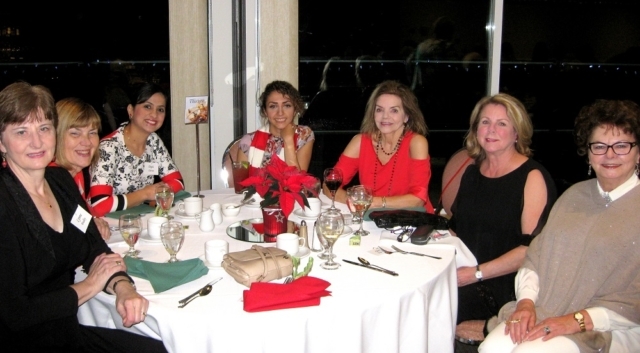 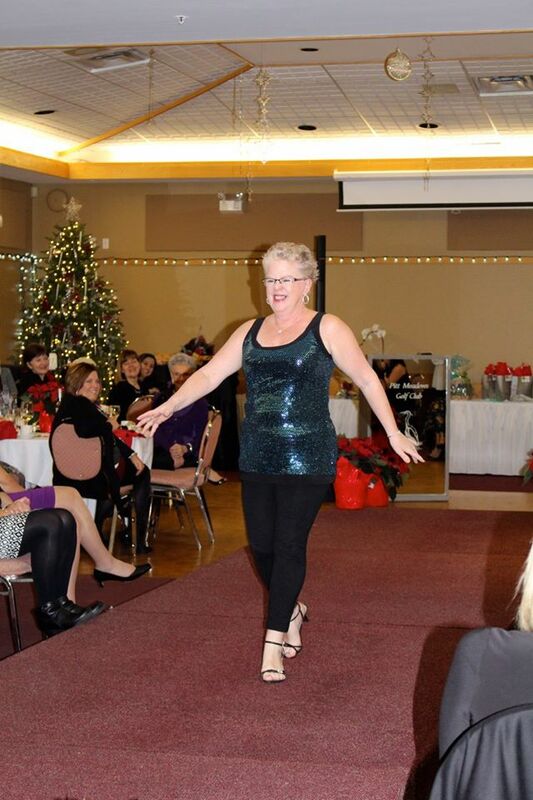 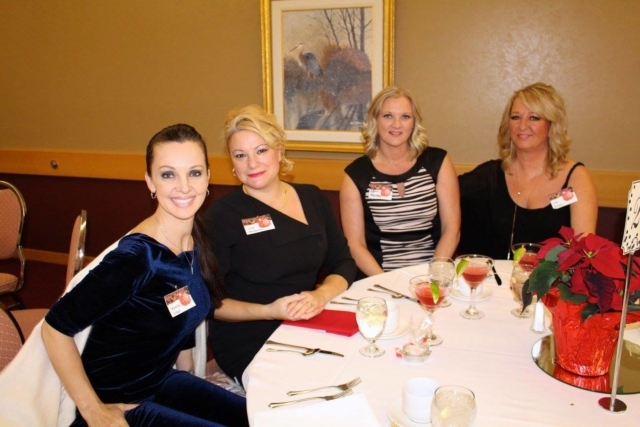 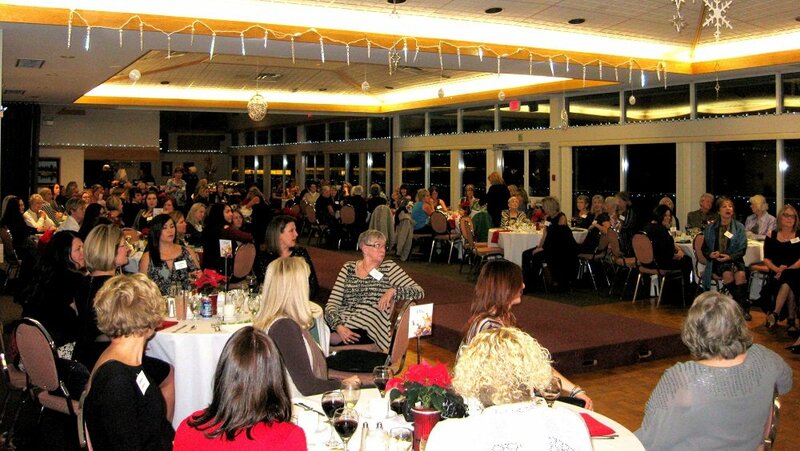 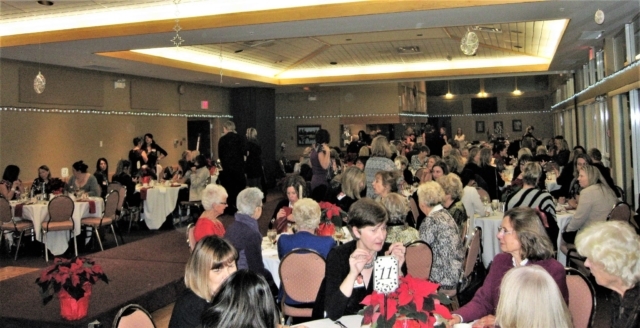 This year’s Women’s AM Holiday Party & Fashion Show was a seasonal success. 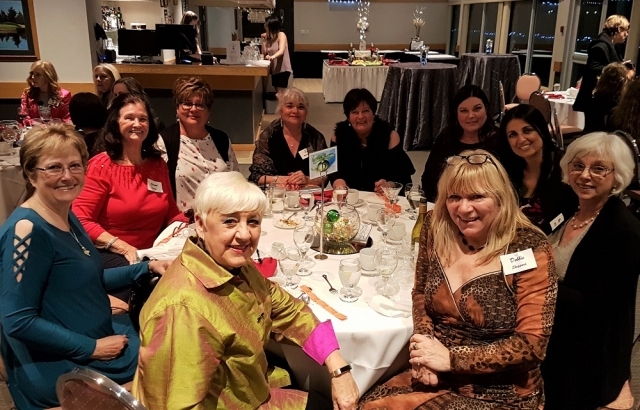 Thanks to everyone who joined in our Magical Mingler to share in this wonderful evening of connection, support and community. 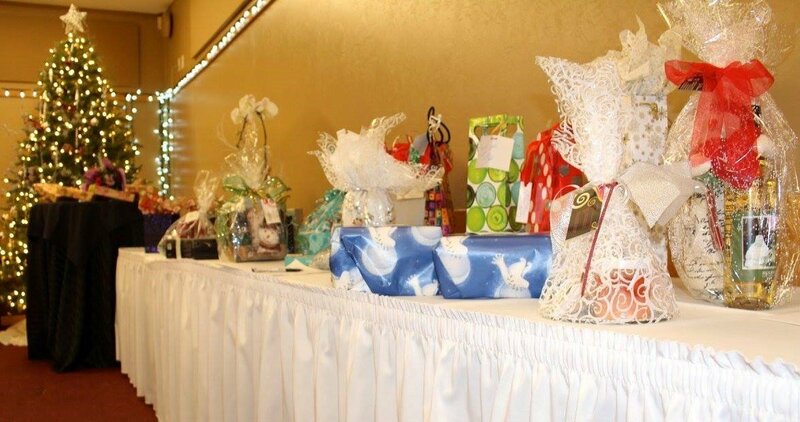 VERY SPECIAL THANKS to all the Fabulous Door Prize Donors – a complete list of these generous individuals will be included with our next newsletter advertising the January meeting. 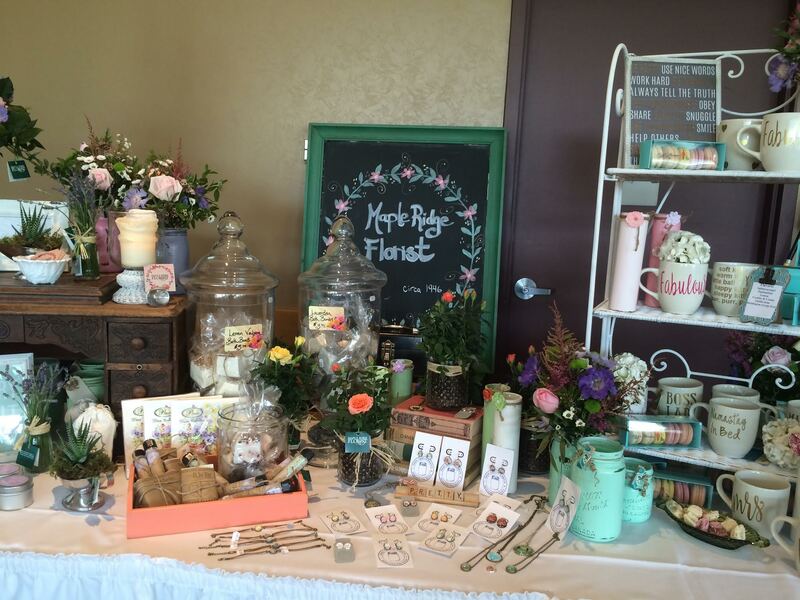 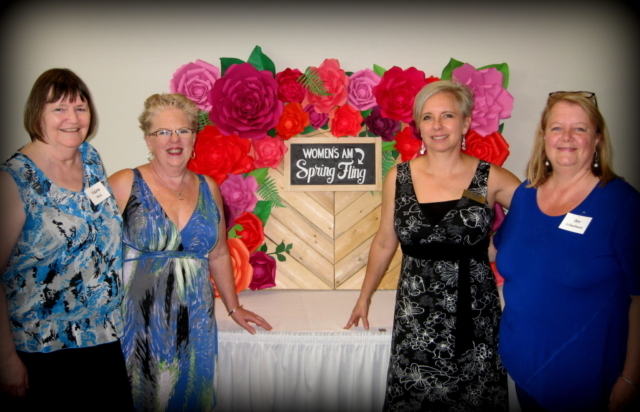 Our annual SPRING FLING event was a huge success!! 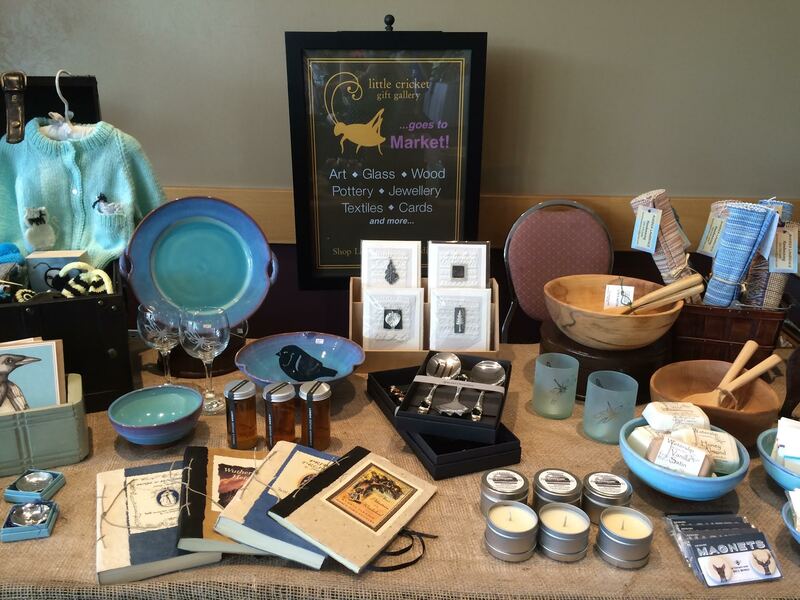 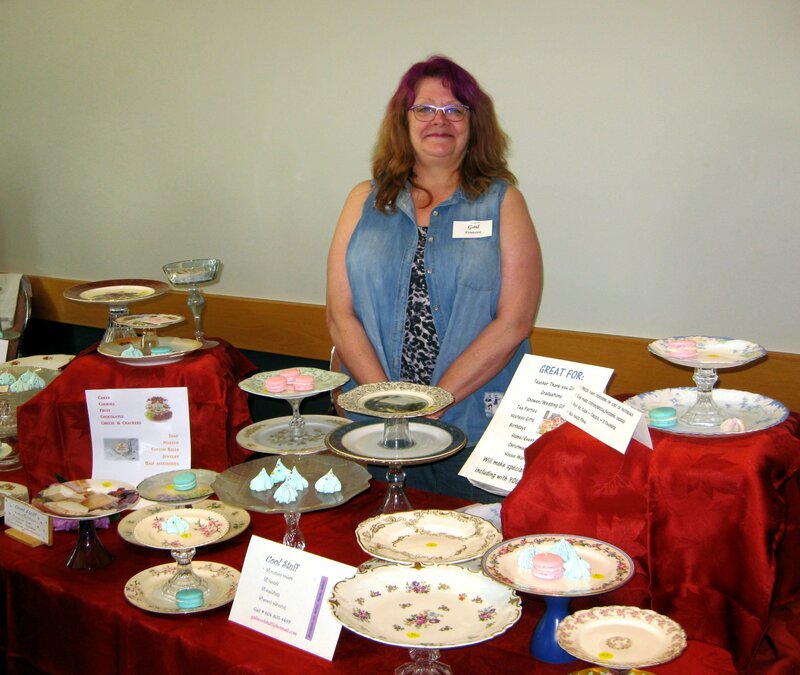 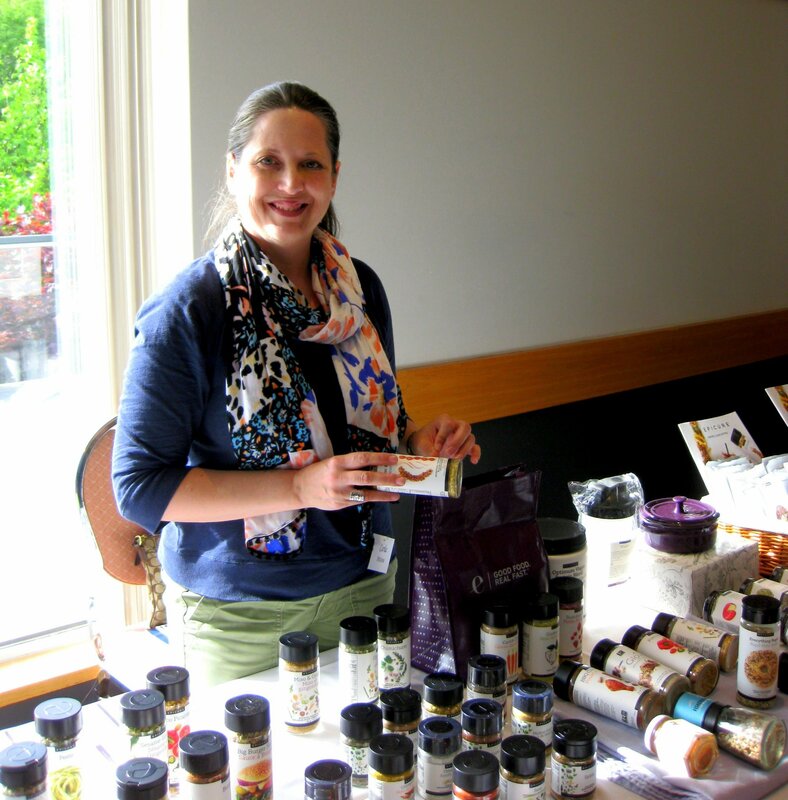 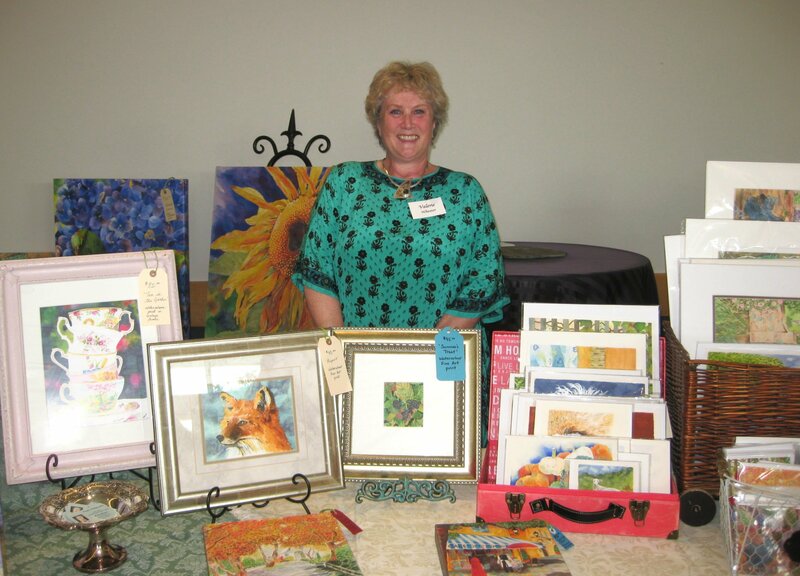 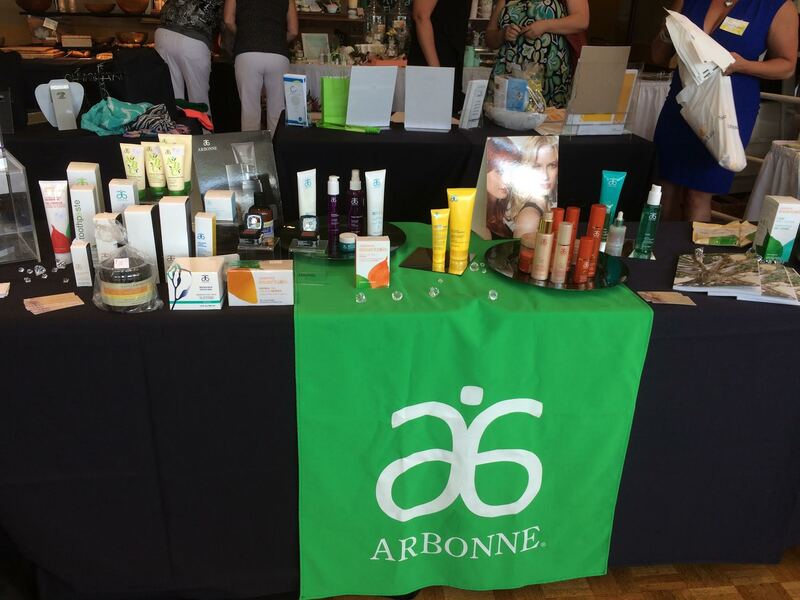 THANK YOU to everyone who took part: 18 vendors and over 80 attendees. The energy and laughter in the room was heart-warming and the event was a fabulous way to support businesses in our community and beyond. 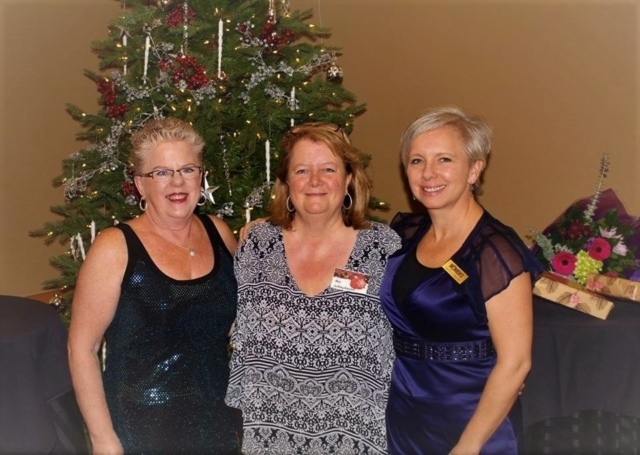 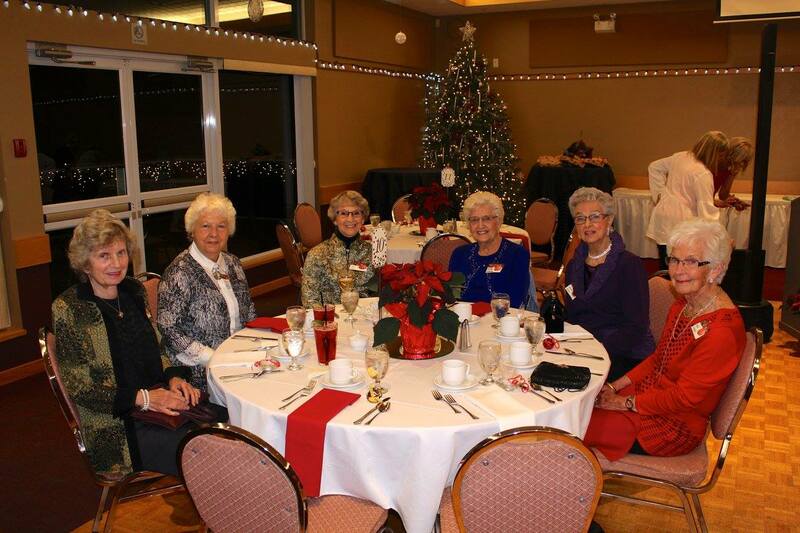 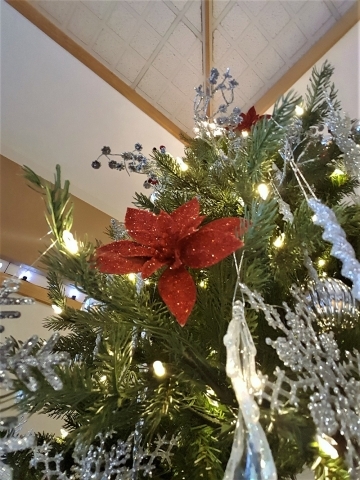 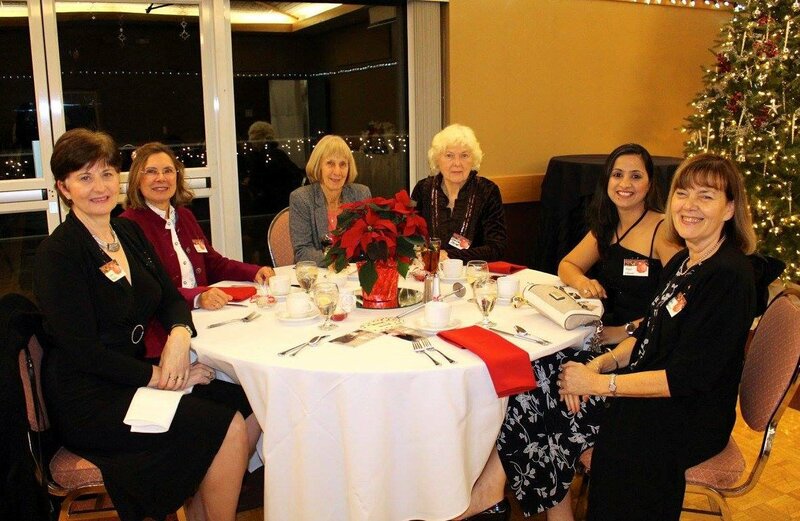 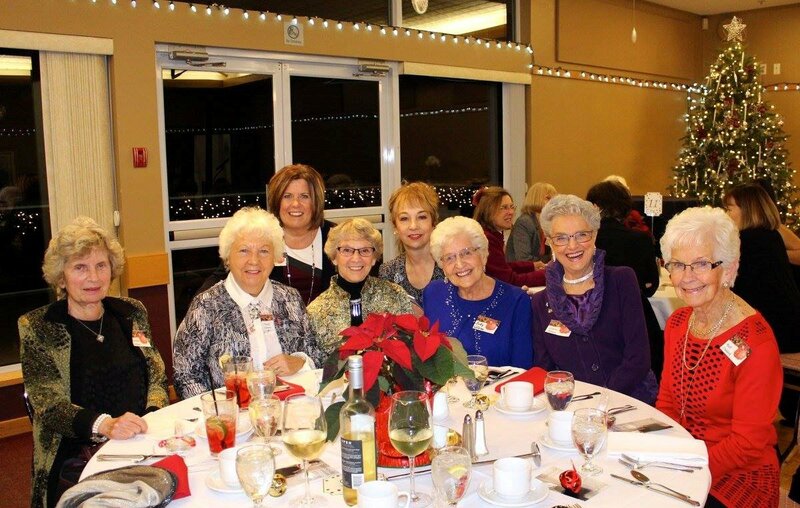 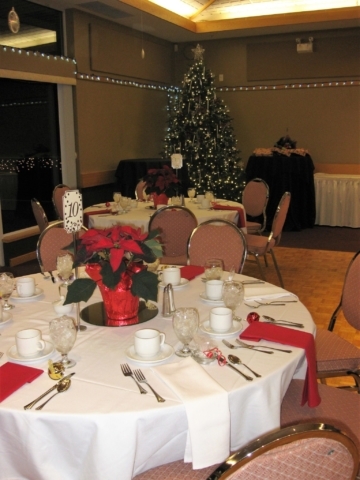 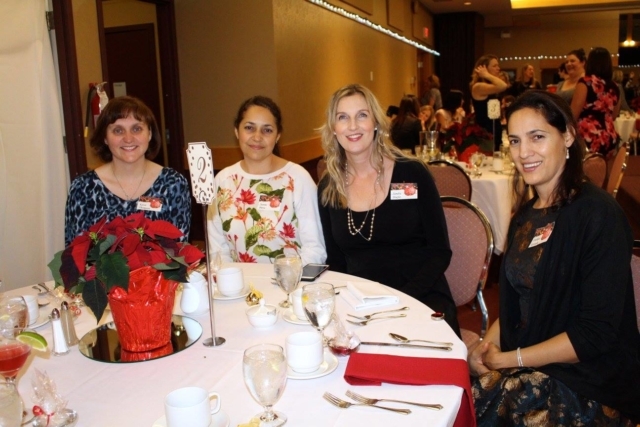 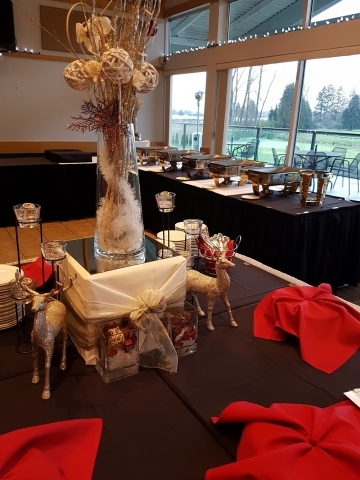 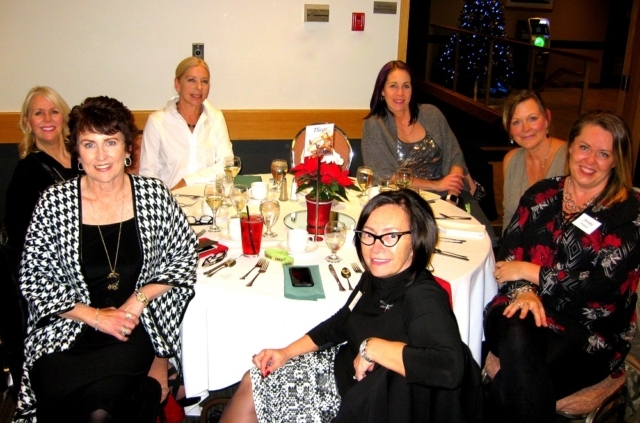 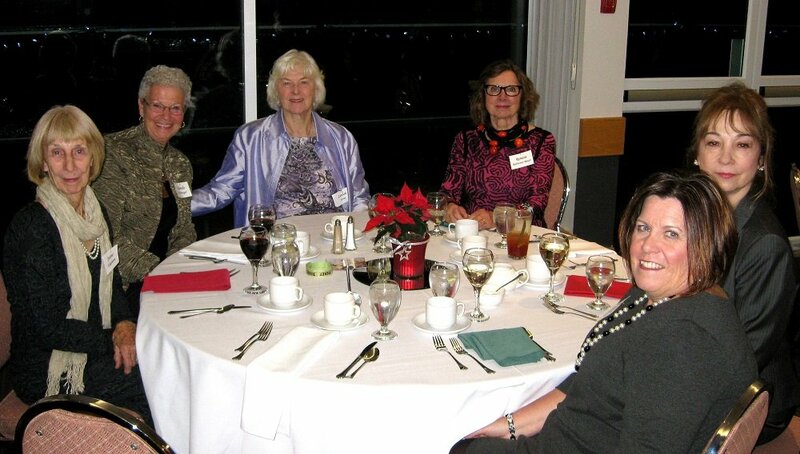 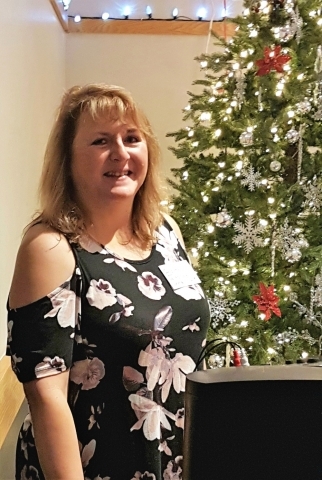 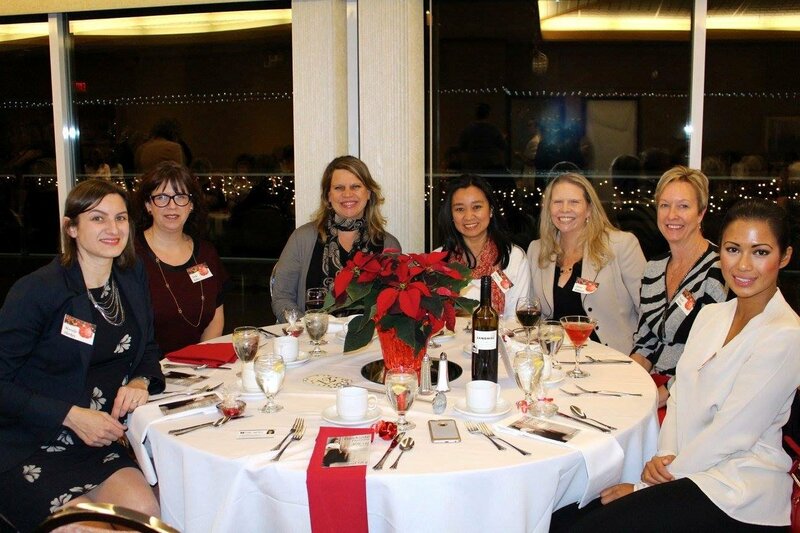 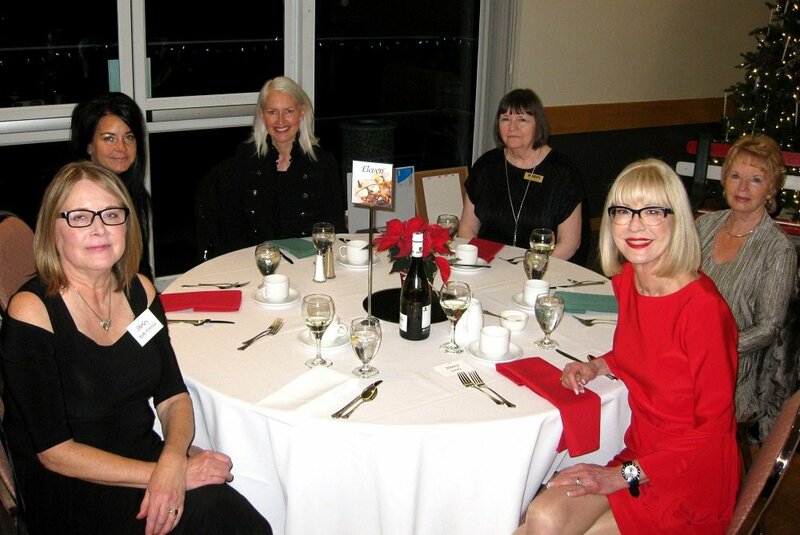 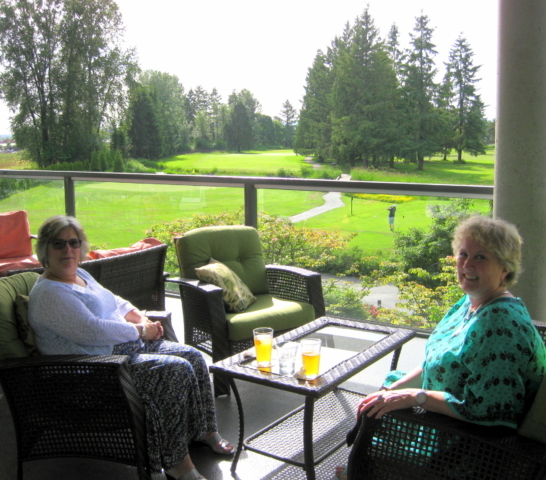 A delicious dinner and lovely decor added to the evening – many thanks to Julie Pellecchia and staff of the Pitt Meadows Golf Club. Door-prize donations were once again AMAZING, and we are most grateful to our generous contributors who are listed below! 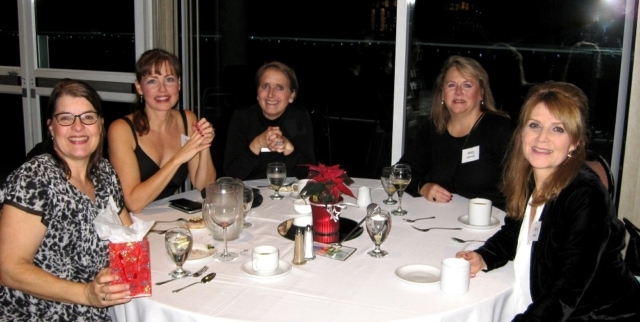 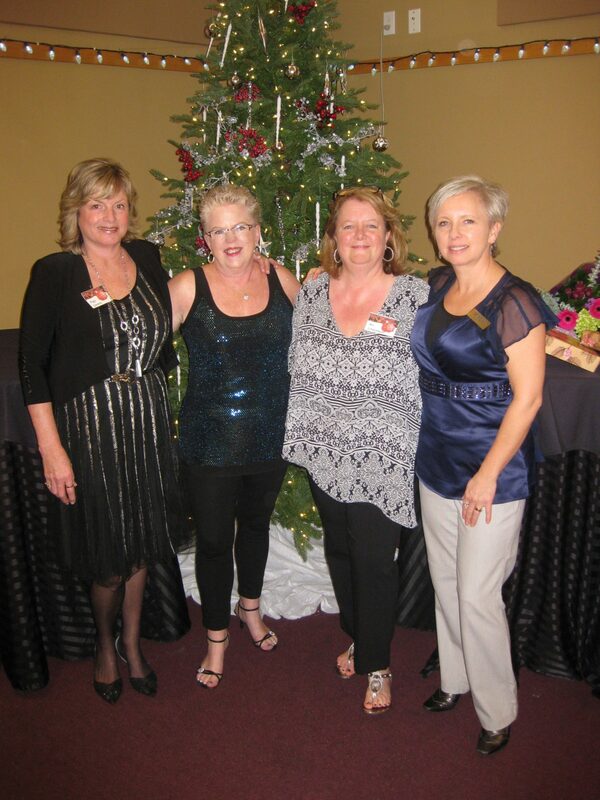 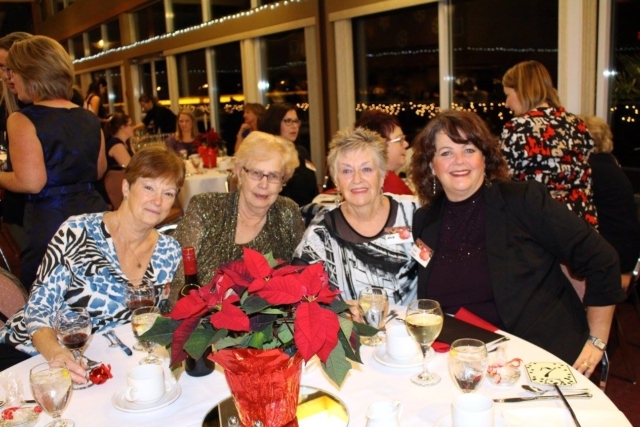 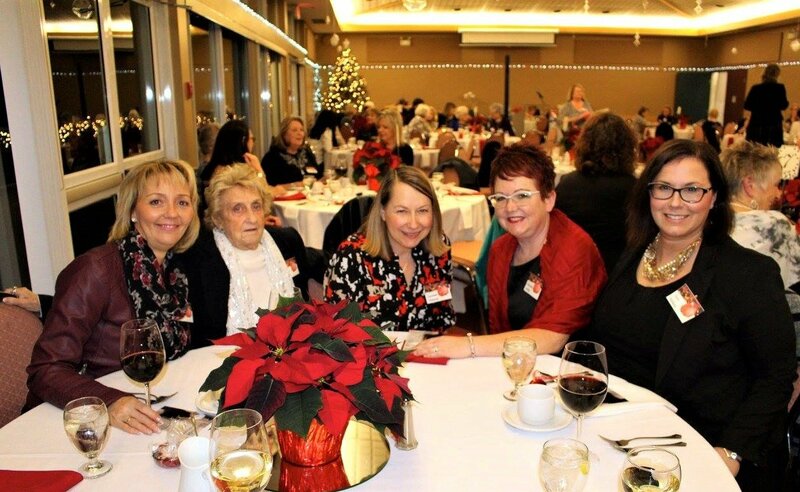 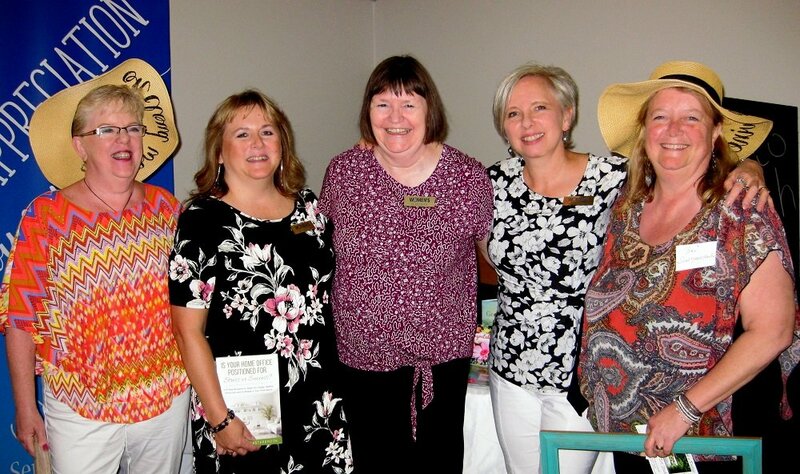 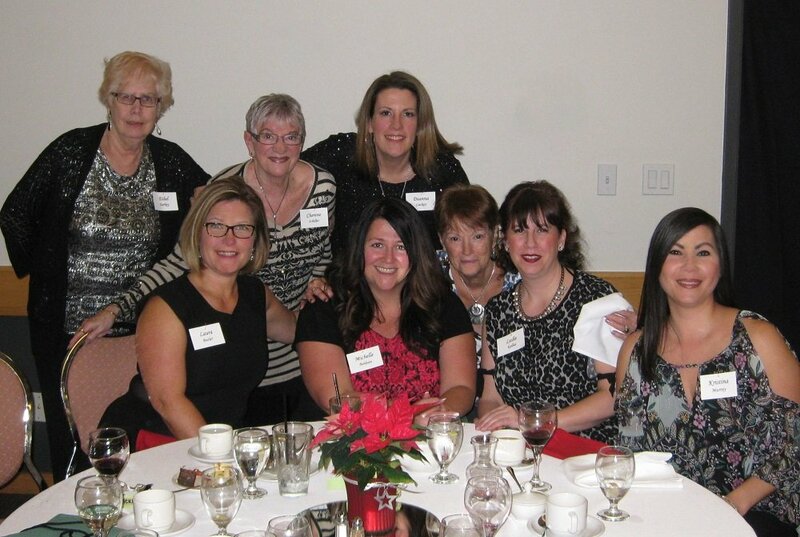 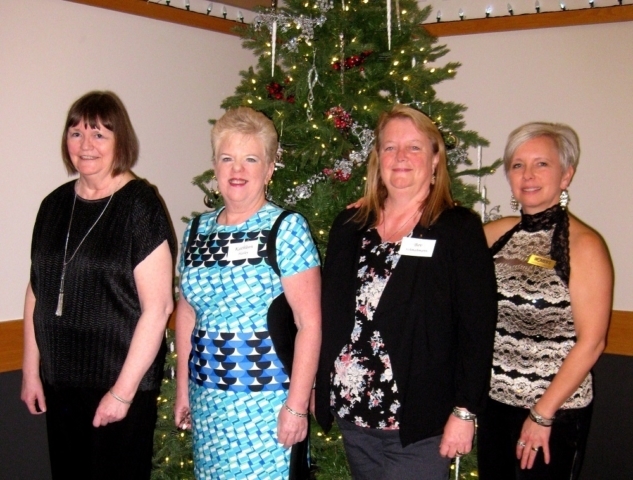 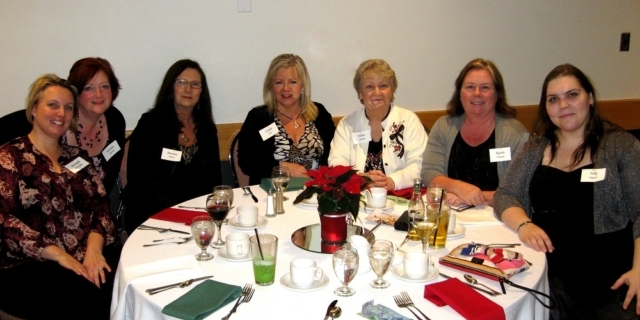 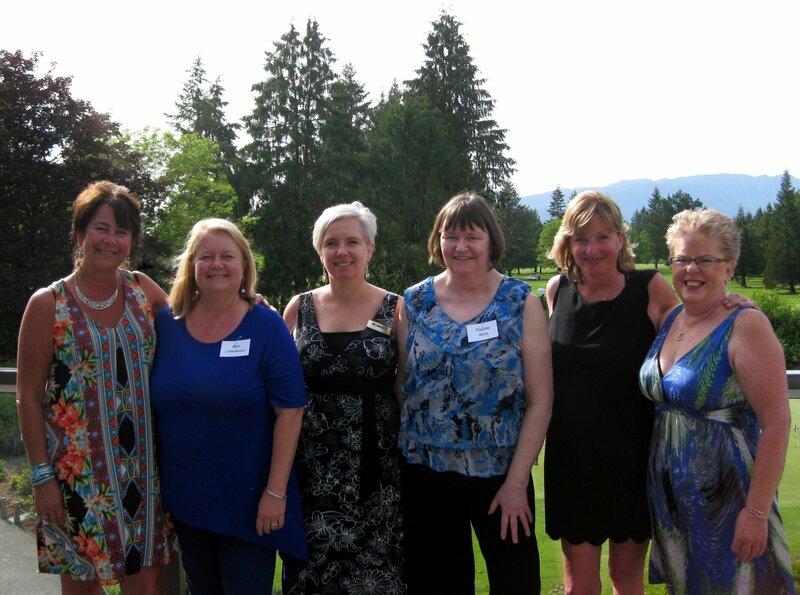 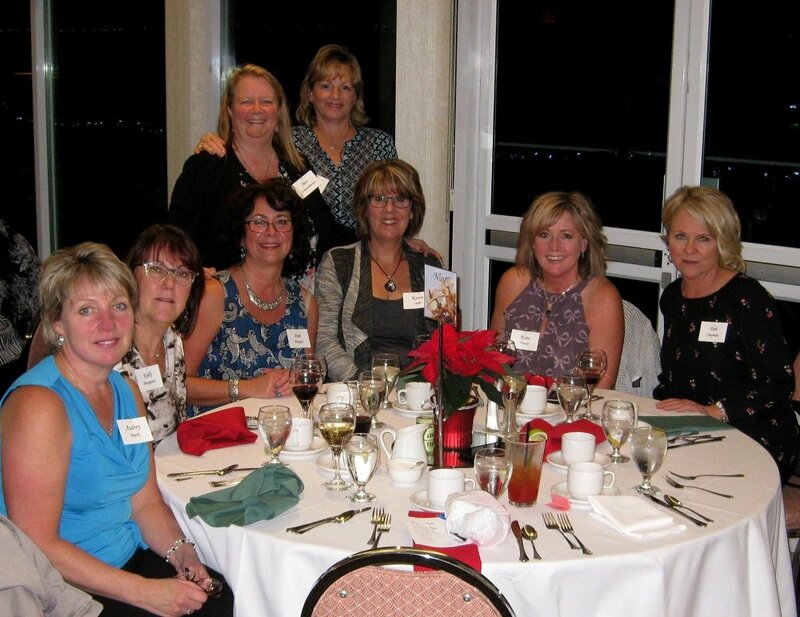 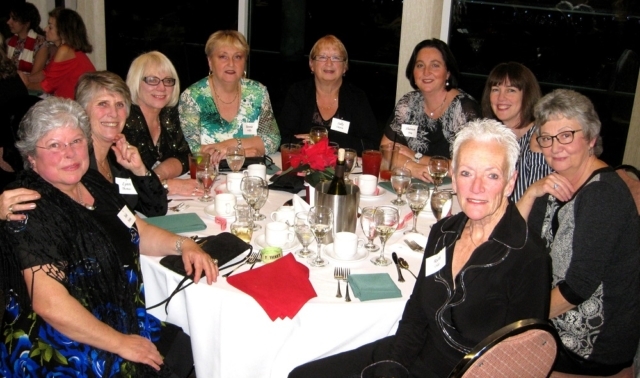 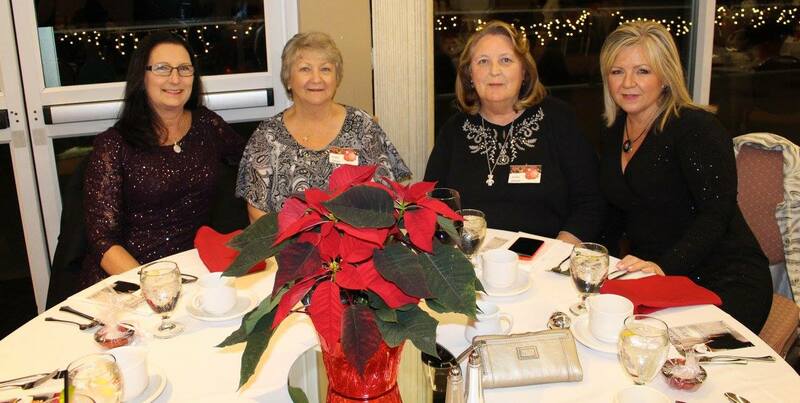 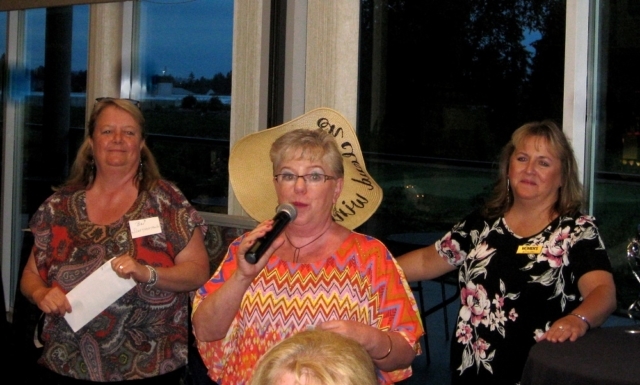 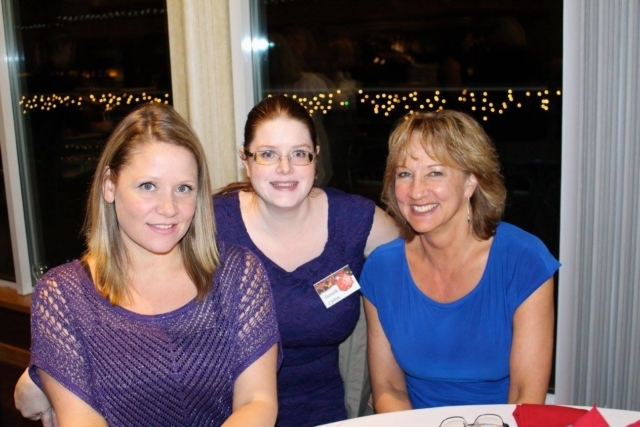 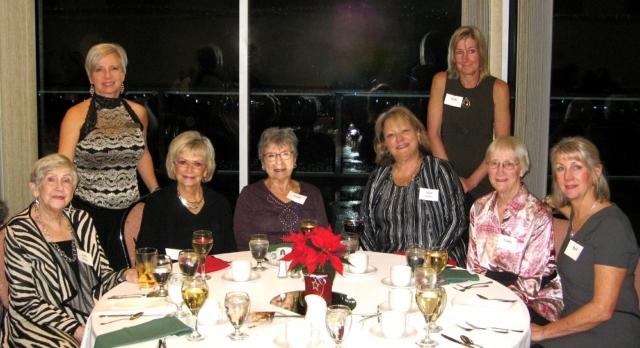 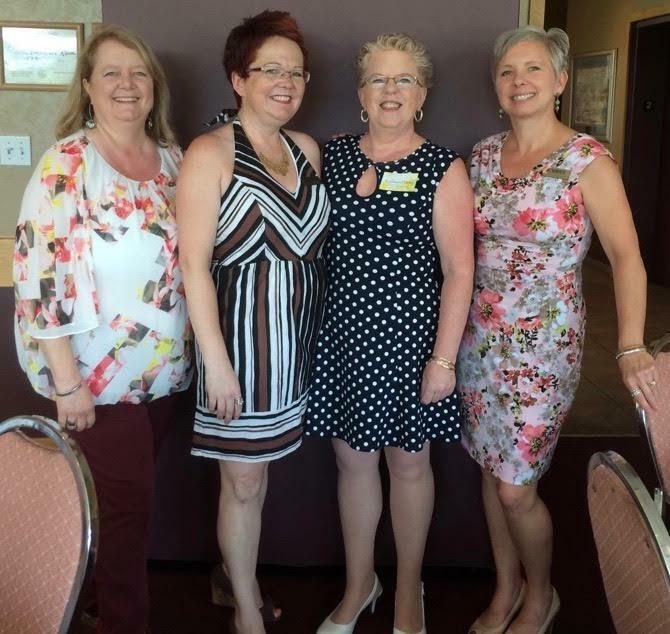 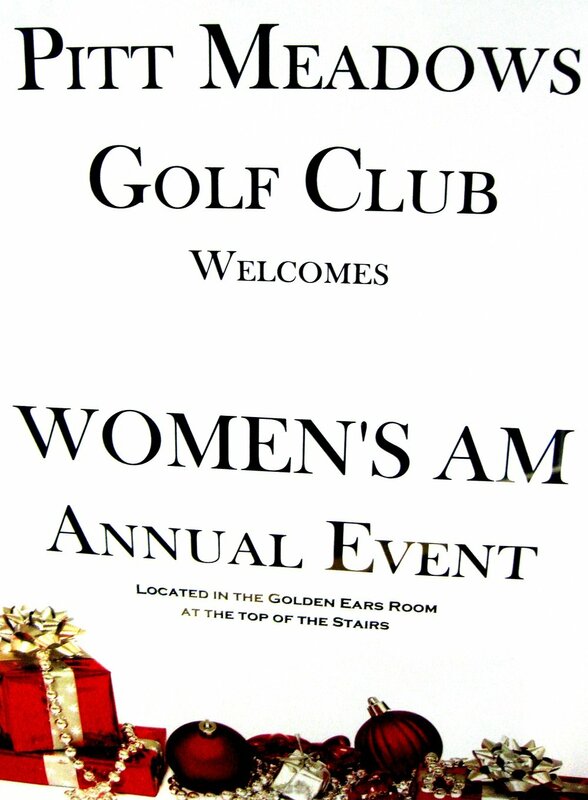 The Women’s AM Executive, Kathleen, Bev, Vanessa, Val and Betty, look forward to seeing all of you (and more!) on Thursday, September 13th, for our first breakfast meeting of the 2018/2019 sessions. 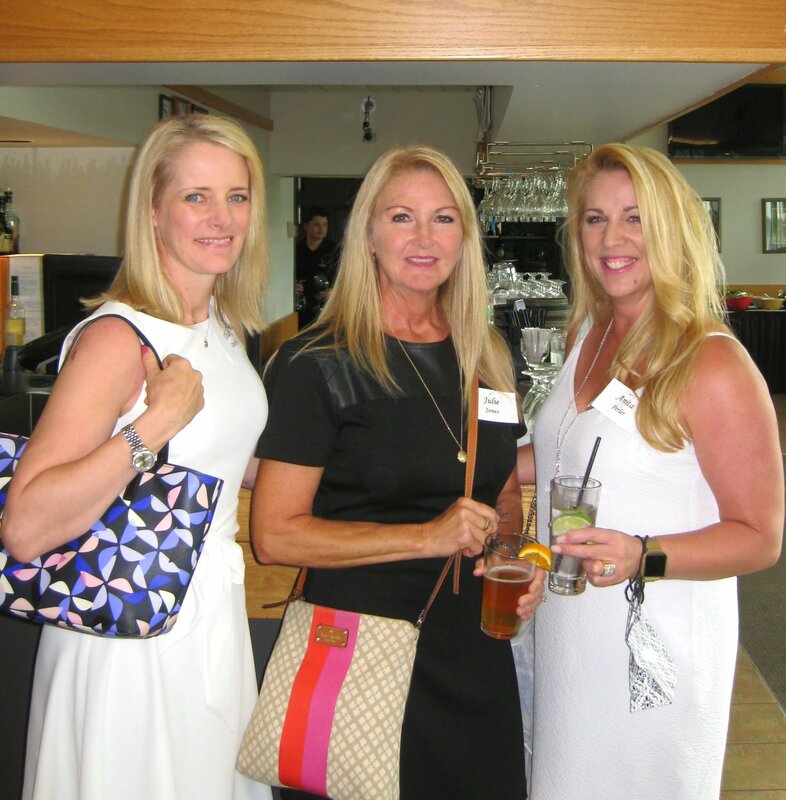 BUT FIRST… SAVE THE DATE FOR OUR SUMMER SOCIAL! 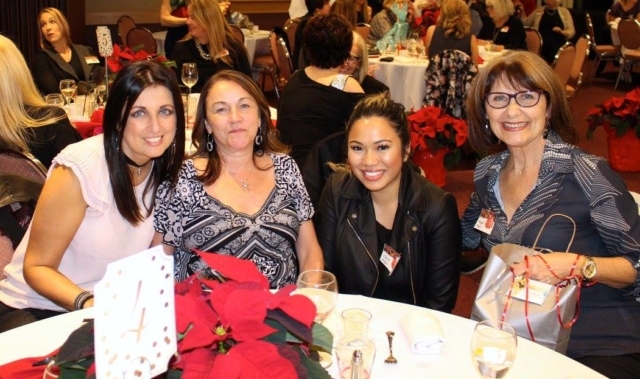 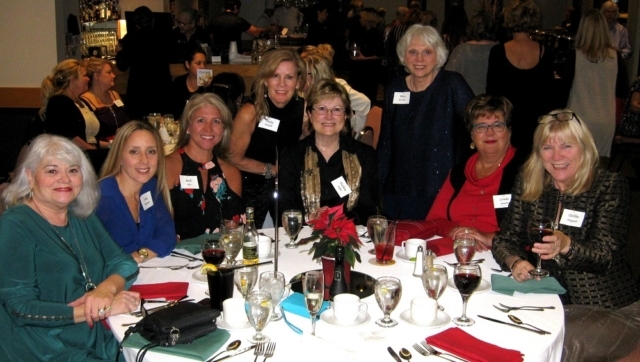 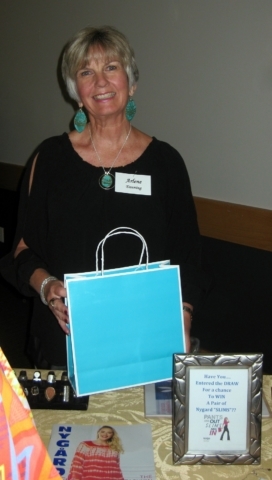 Food, Fashion and Fun set the stage for this year’s Women’s AM Christmas Party and Fashion Show. Thanks to everyone who joined us to share in this wonderful evening of connection and community. 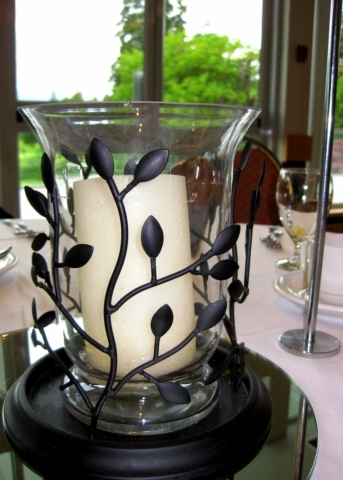 And what about our interactive table game for some added excitement and laughs! 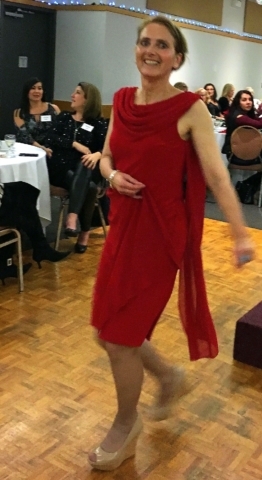 A new tradition perhaps? HAPPY HOLIDAYS and we look forward to seeing you at our next morning meeting on Thursday, January 11th, at 7am. 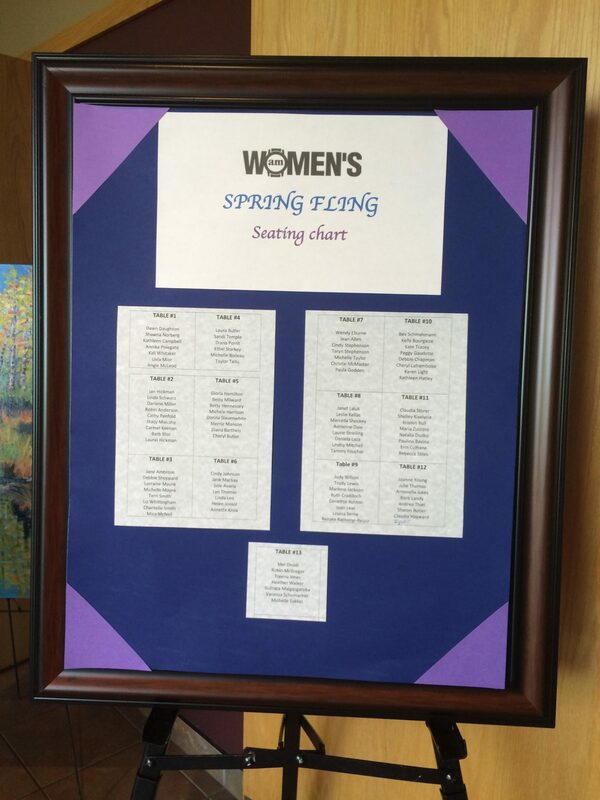 The Women’s AM Executive would like to thank everyone who came out to our Spring Fling! Your energy and enthusiasm made for a lovely evening. 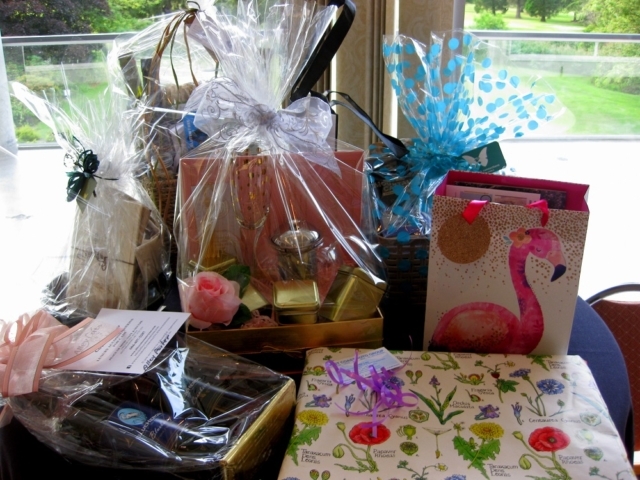 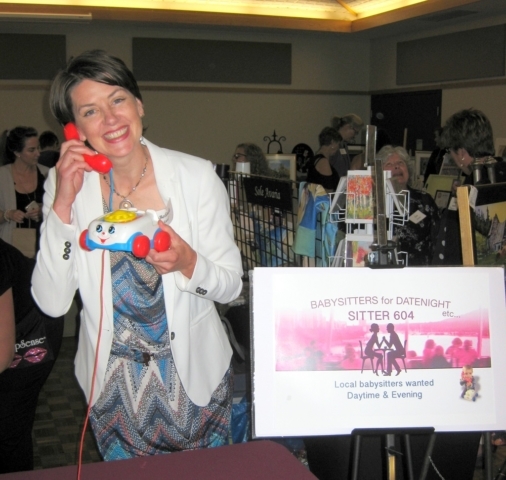 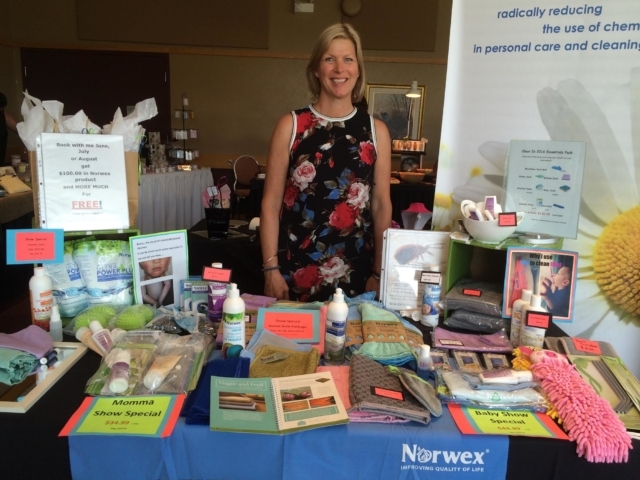 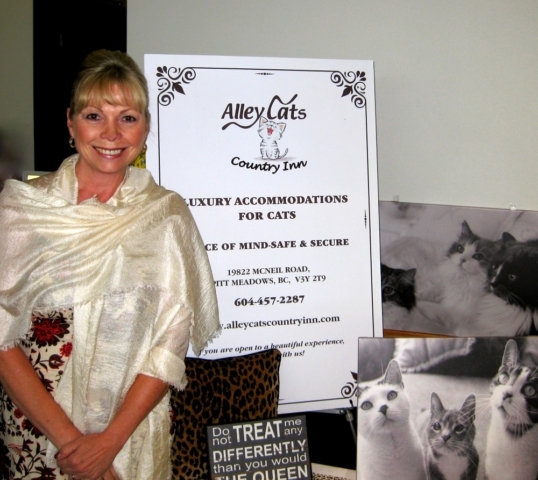 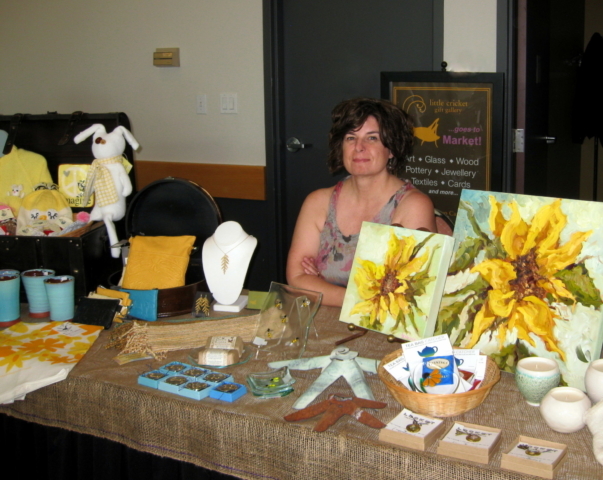 Those that donated door-prizes – a huge THANK YOU! 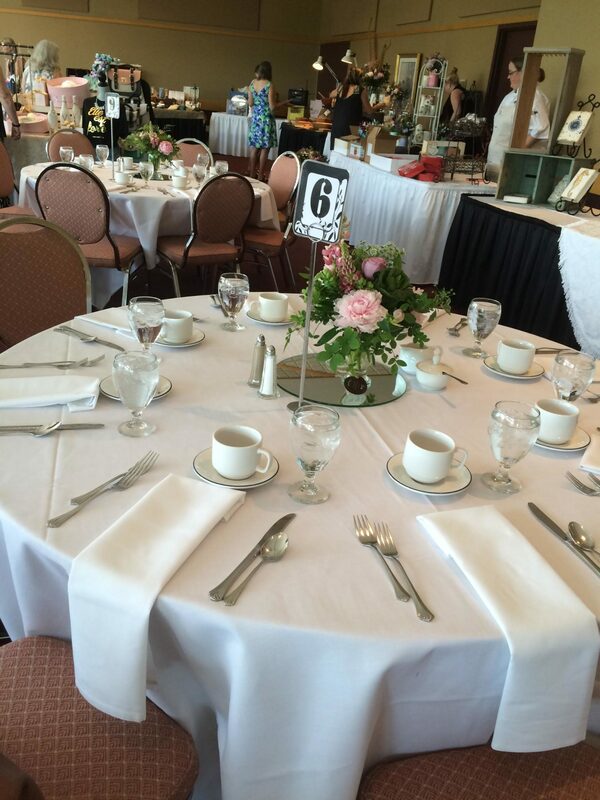 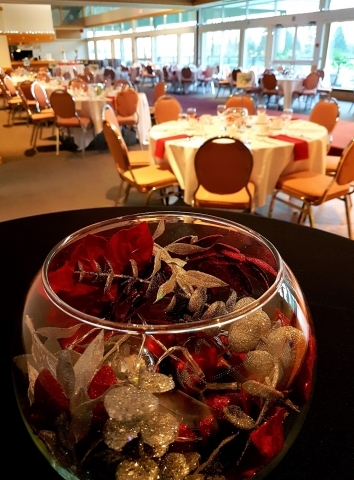 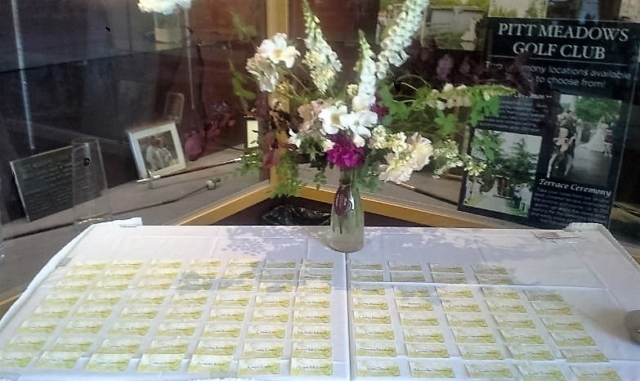 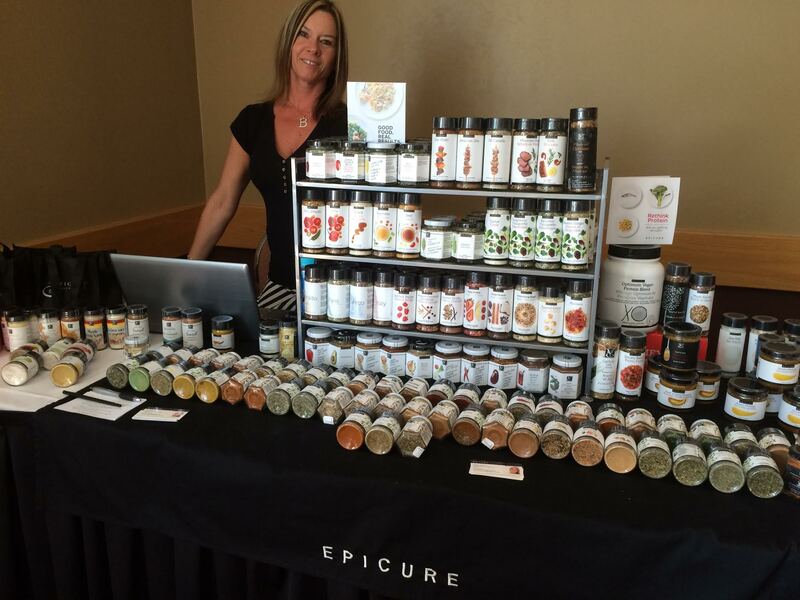 The vendors set up beautiful displays with lots of variety and The Pitt Meadows Golf Club, once again, did an outstanding job of coordinating the event and the room looked amazing. 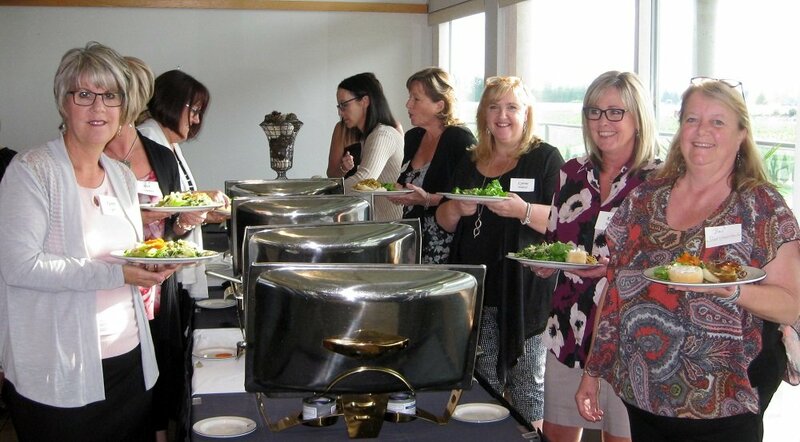 The buffet dinner was delicious and the Citrus Sangria was a delicious touch on a warm spring evening. 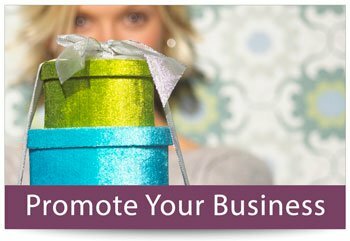 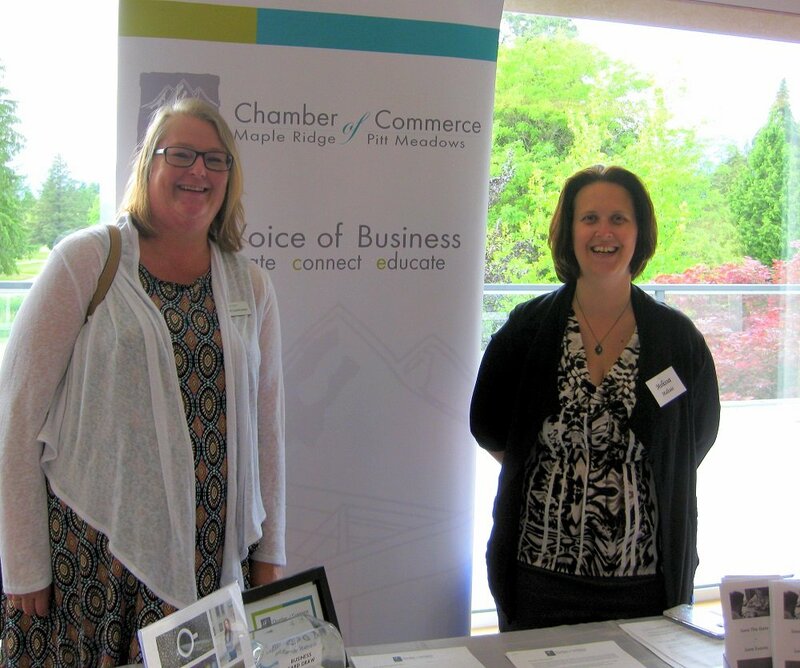 Have a wonderful summer and please join us on Thursday, September 14th, as we start a brand new year of exciting presentations, meet new people in our communities and build our businesses. The venue was welcoming, the decor was festive, the fashions were fabulous and the women were wonderful. 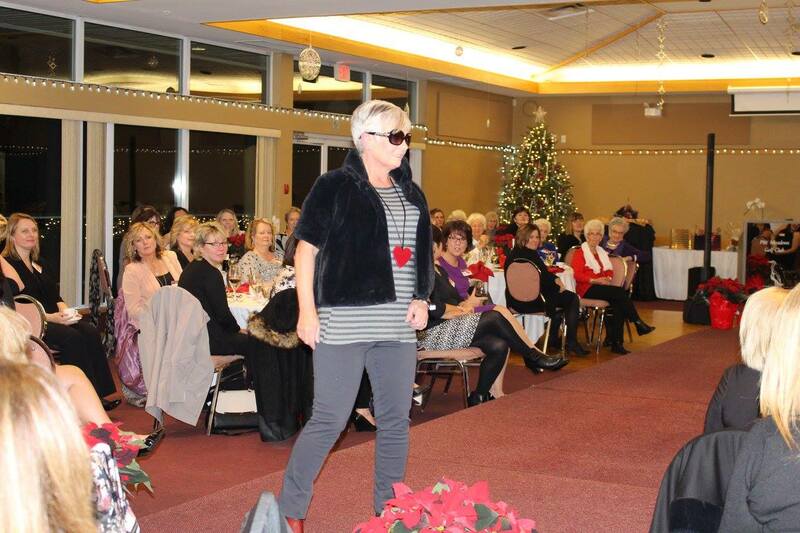 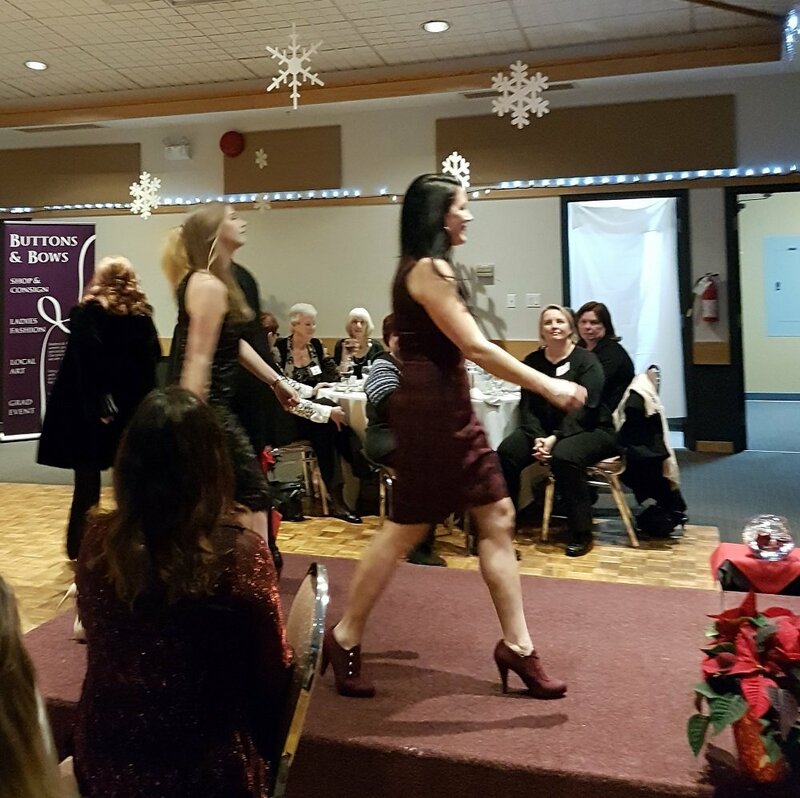 Thanks to everyone who joined us in another successful Women’s AM Christmas Party and Fashion Show. Happy Holidays and we look forward to seeing you at our next morning meeting featuring Dr. Cobi Slater on Thursday, January 12th, at 7am. 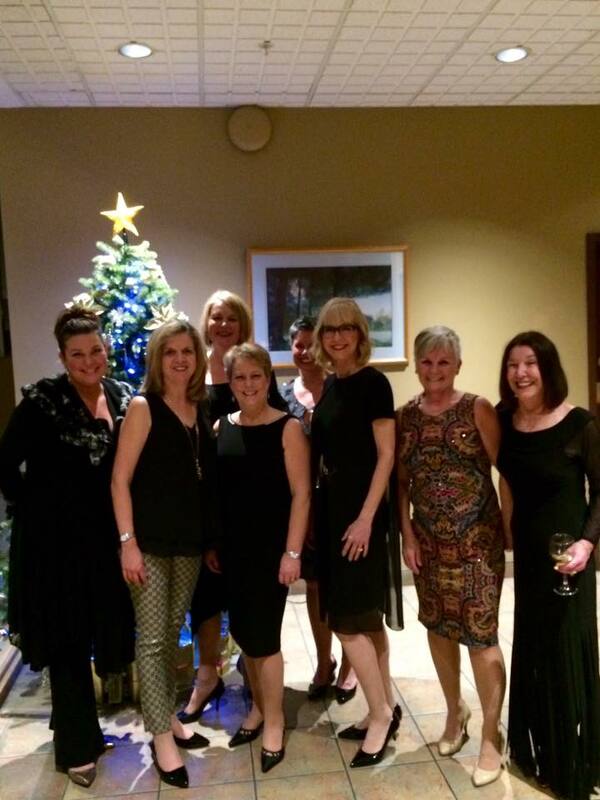 What a fabulous night! 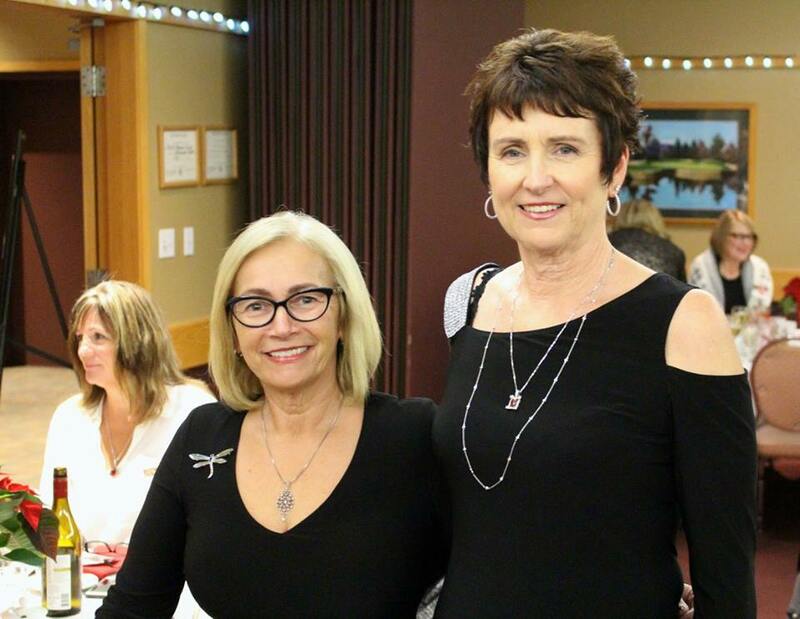 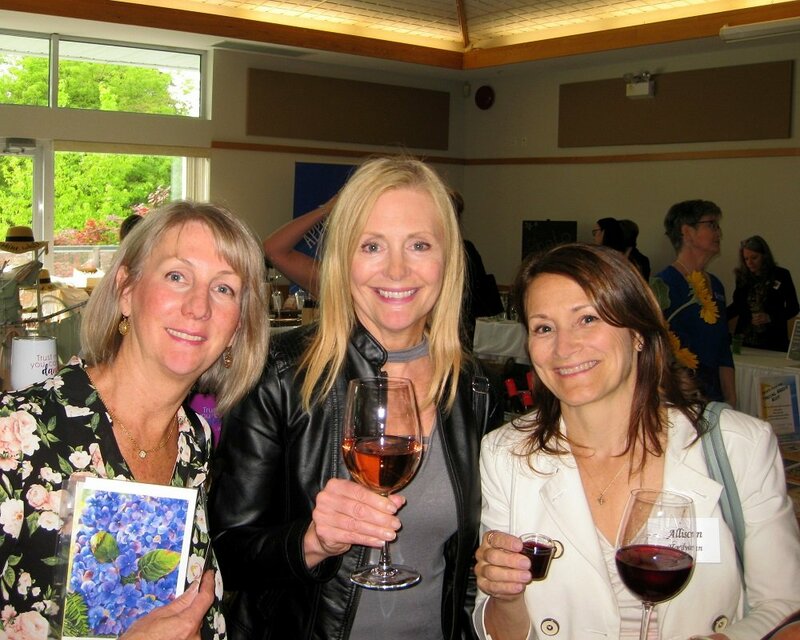 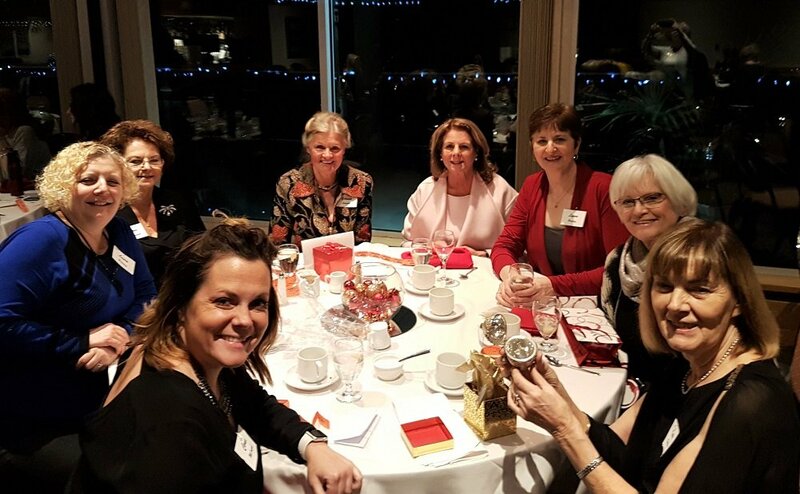 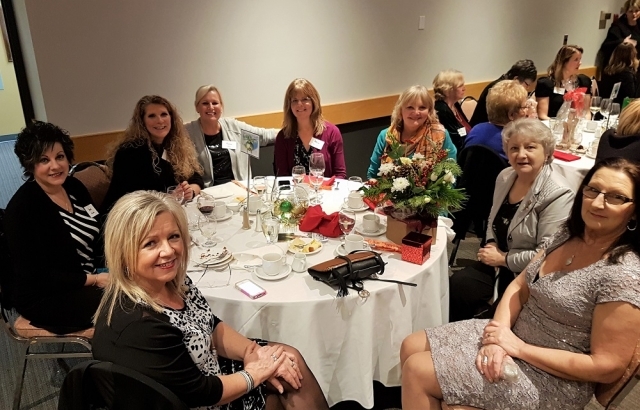 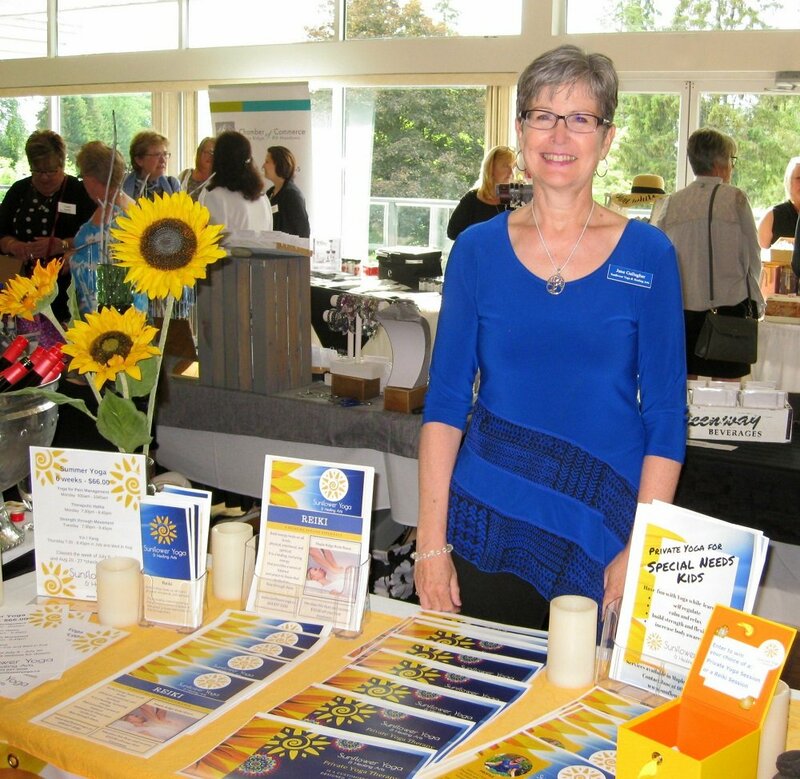 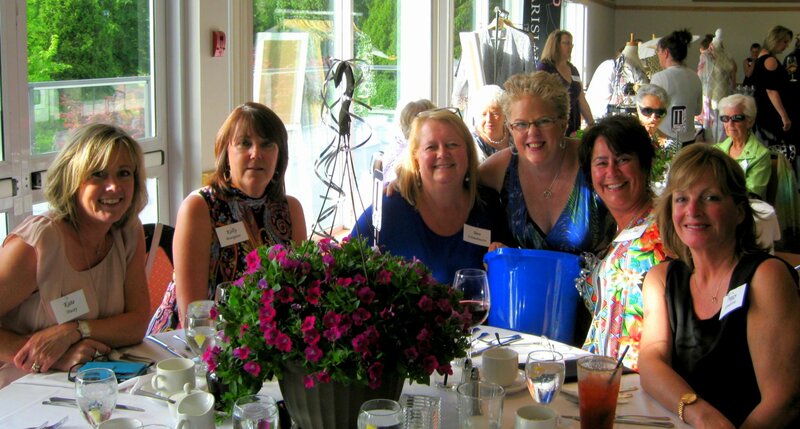 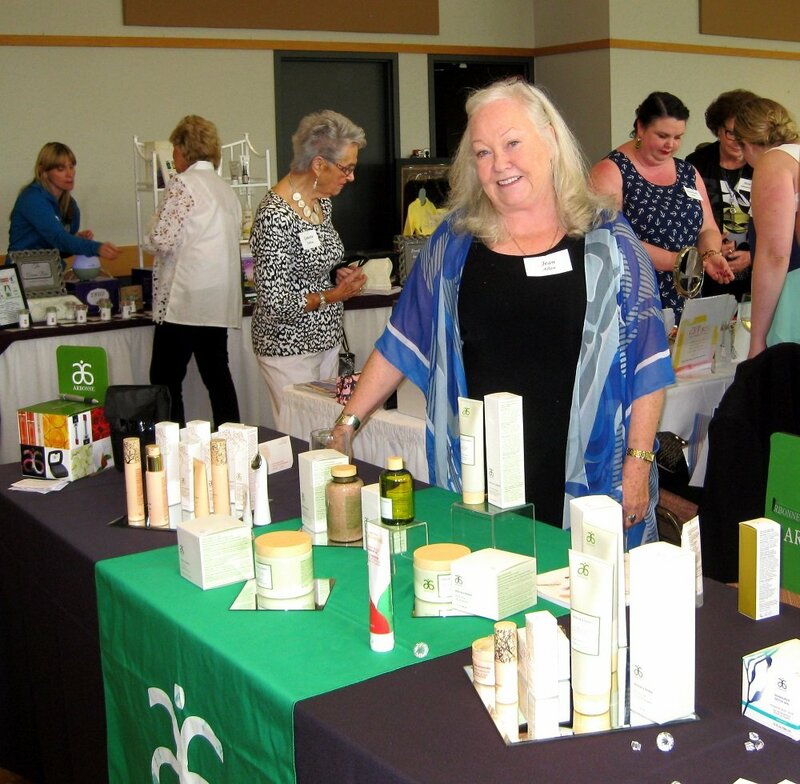 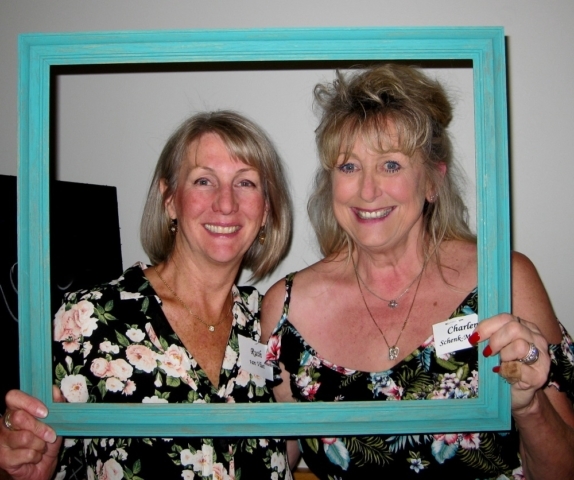 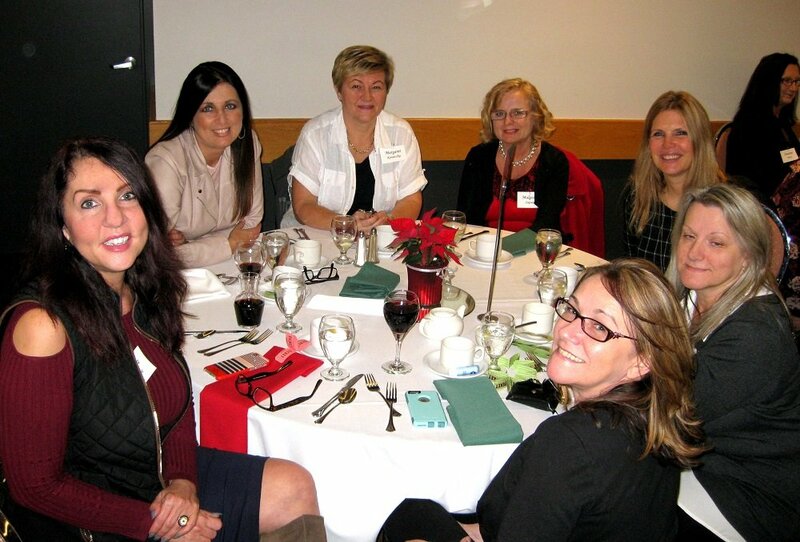 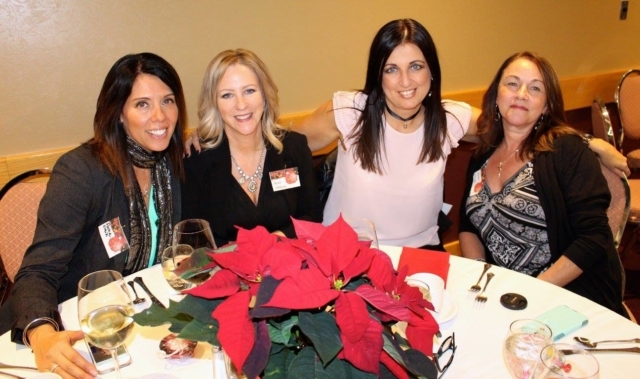 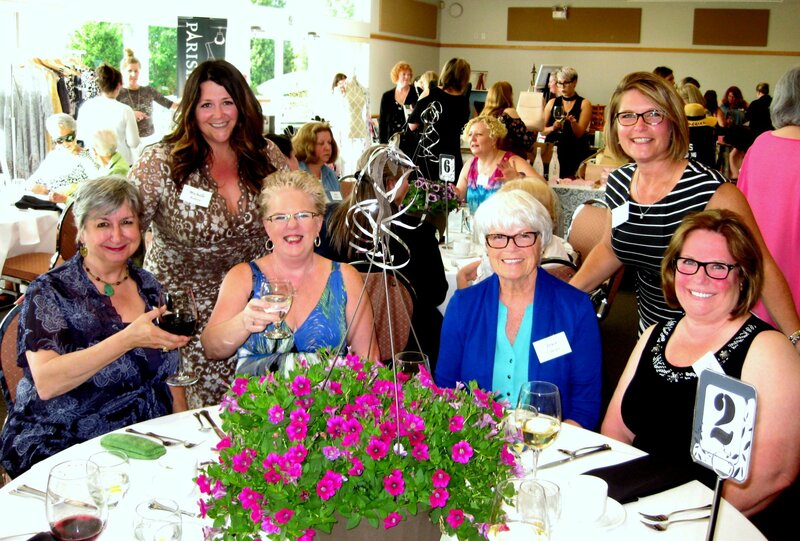 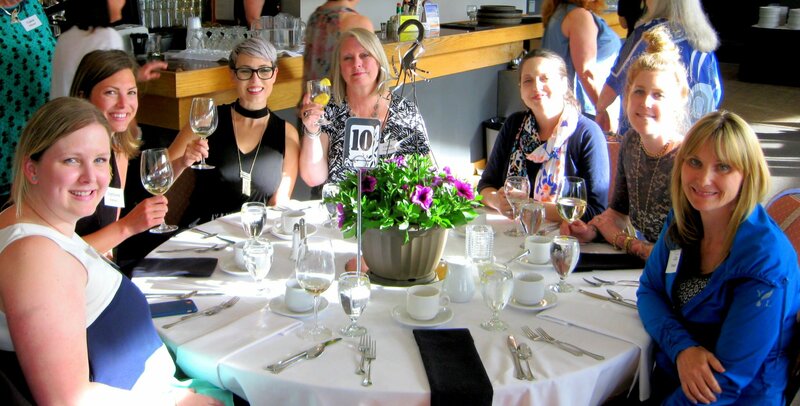 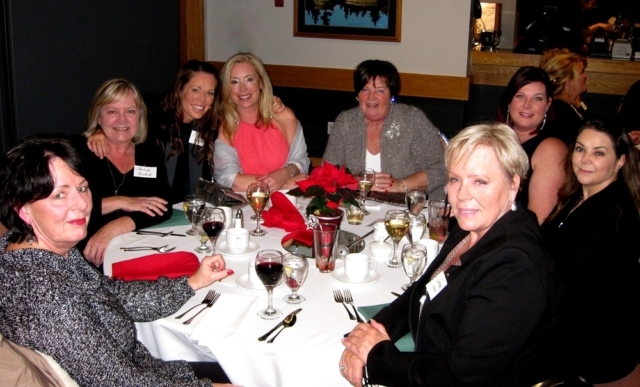 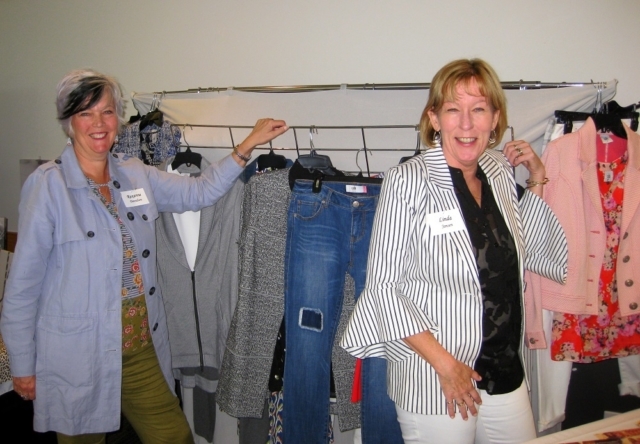 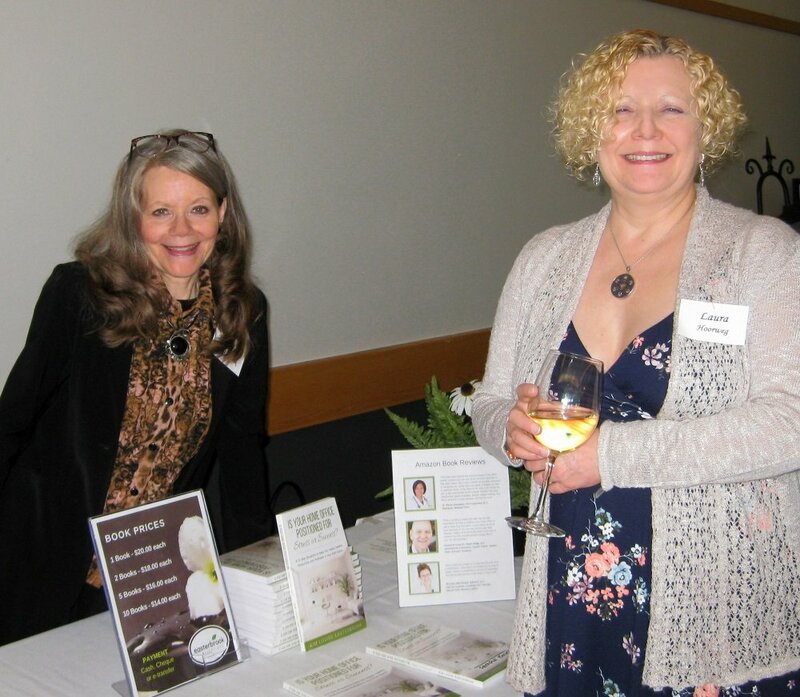 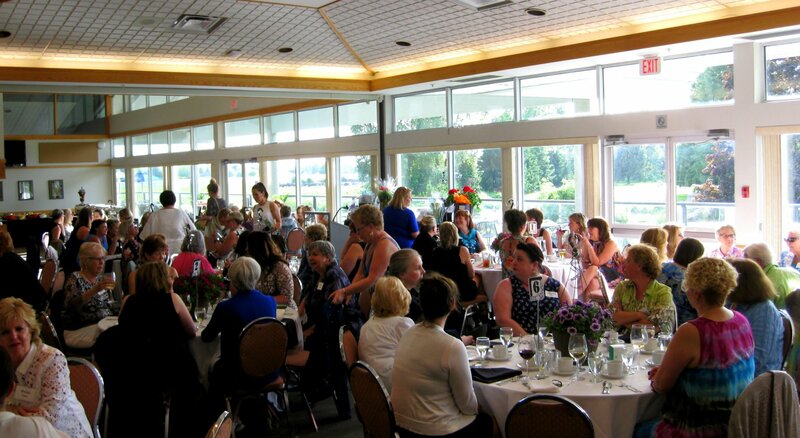 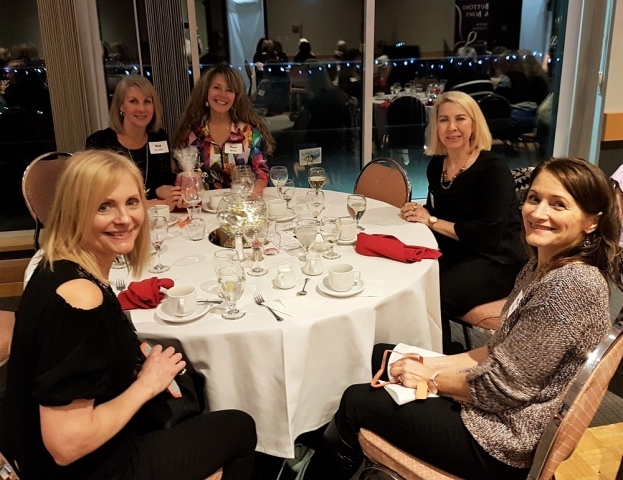 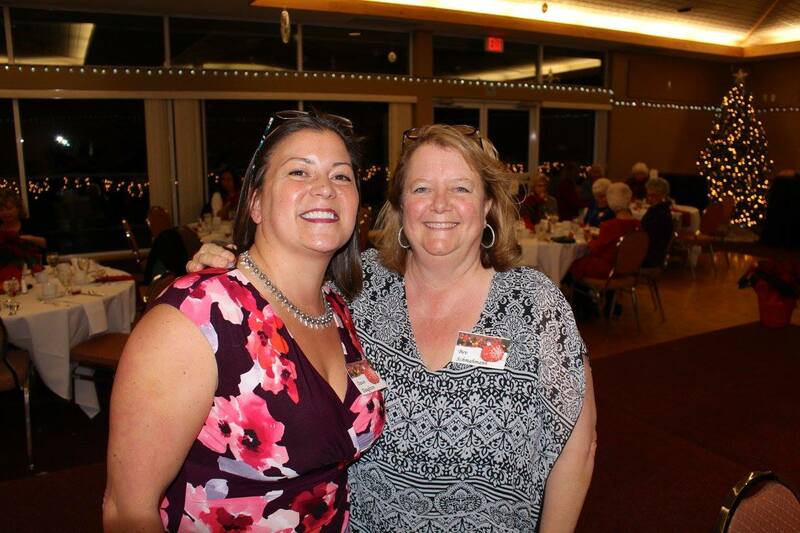 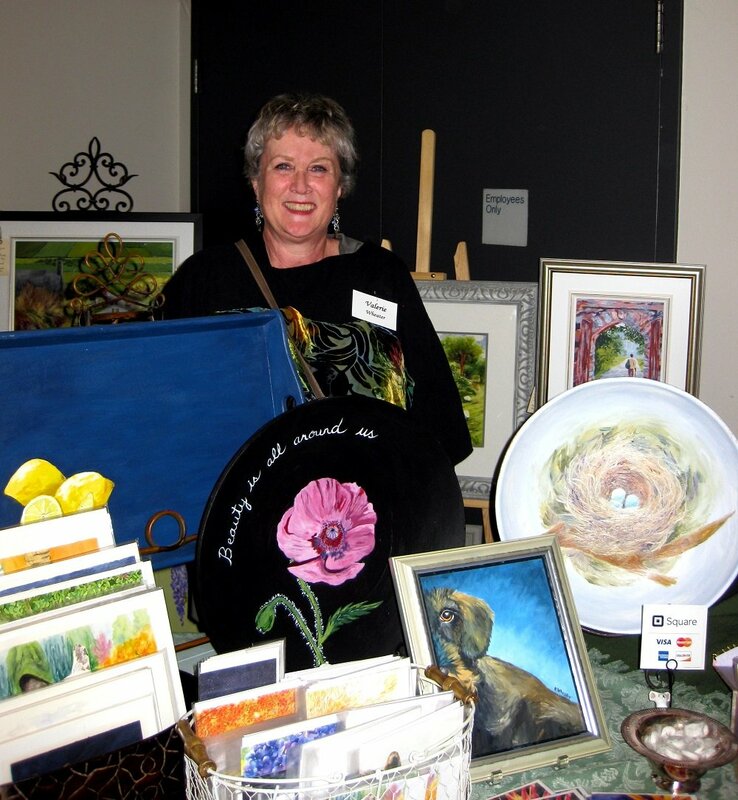 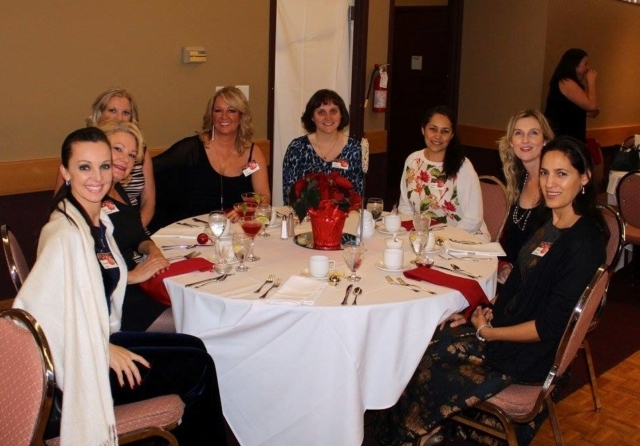 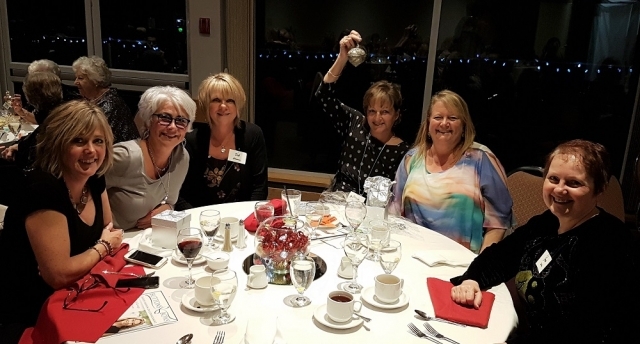 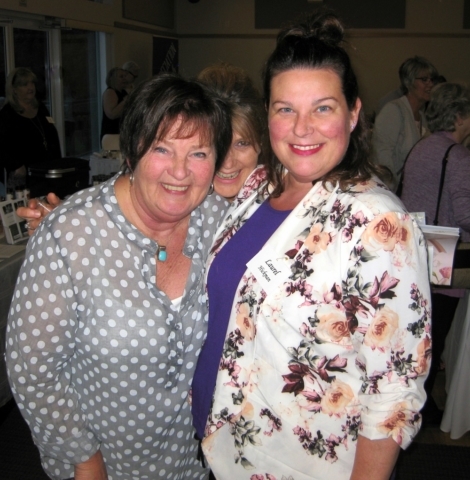 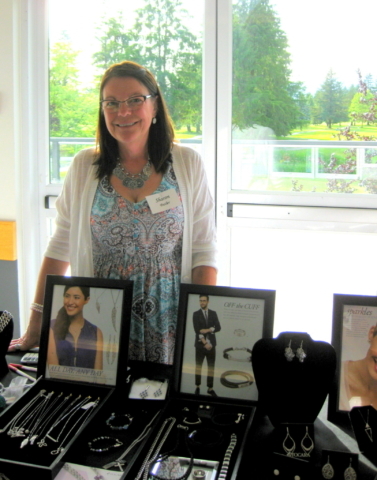 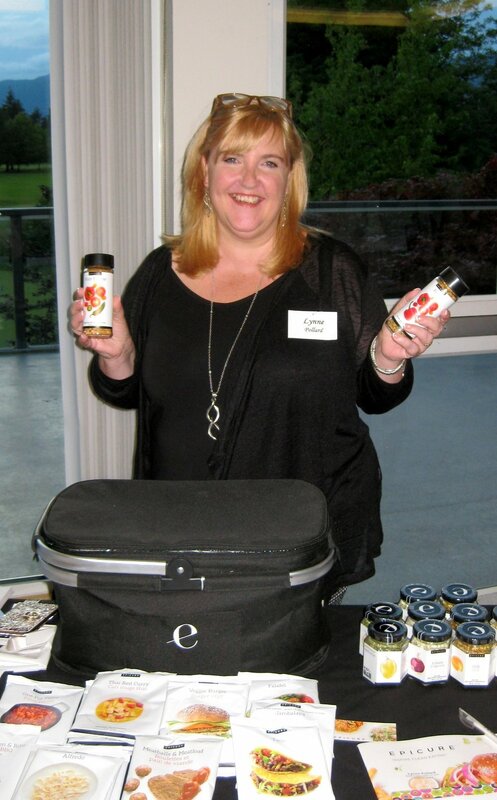 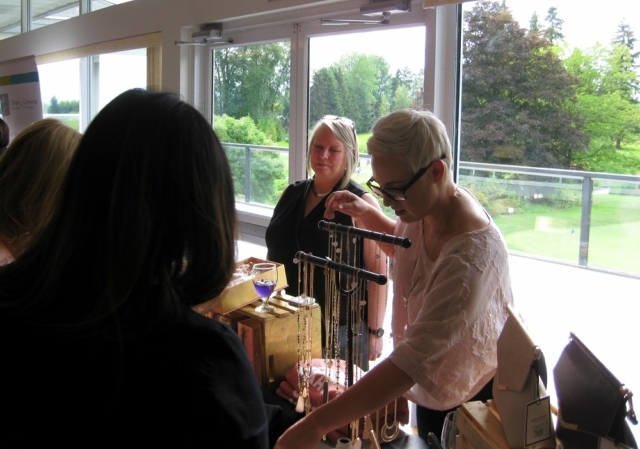 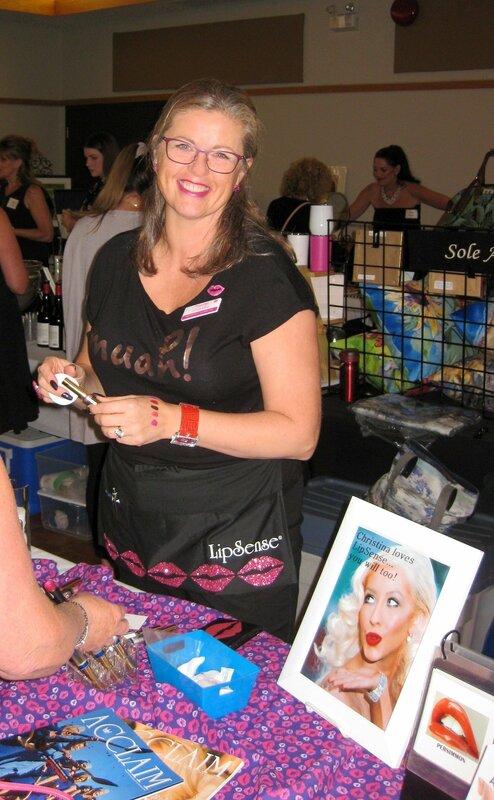 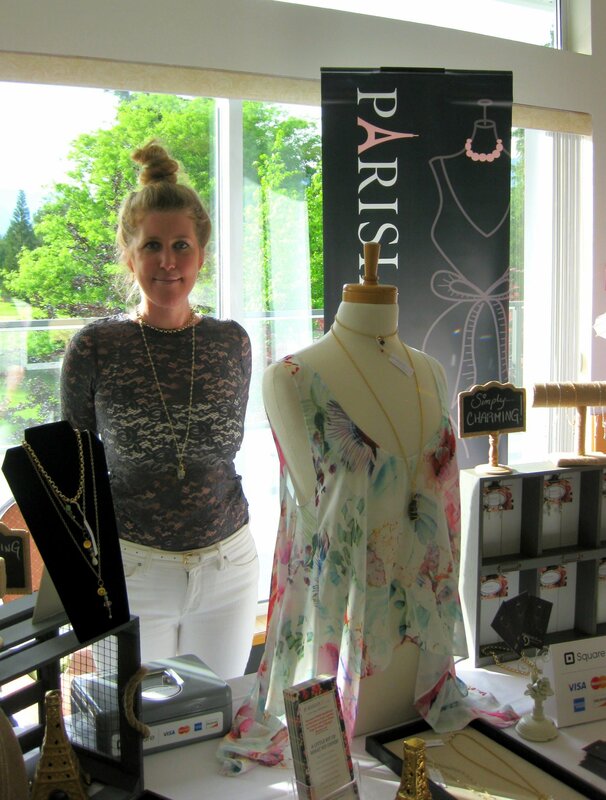 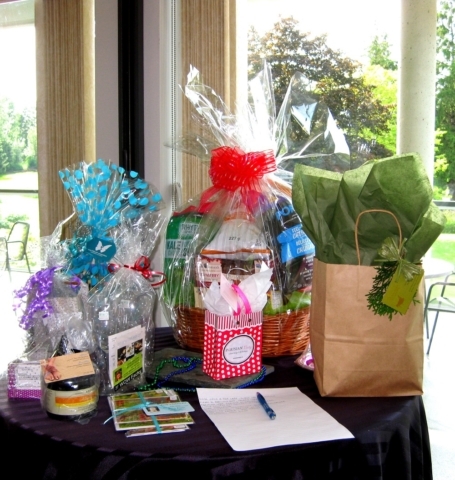 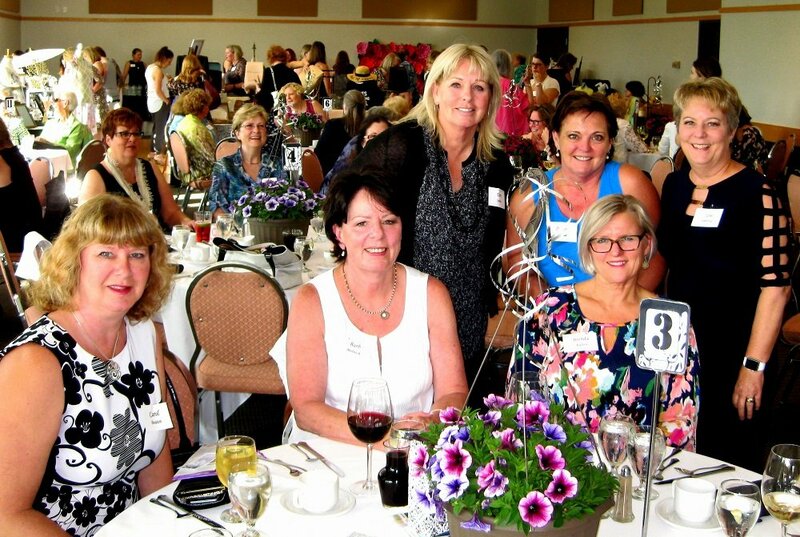 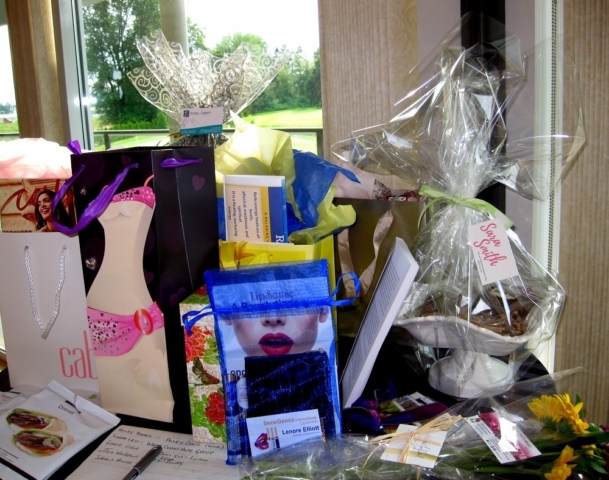 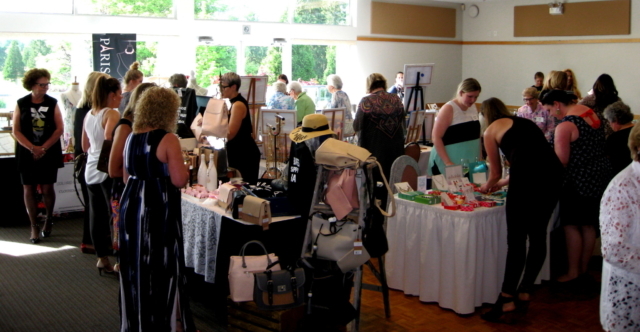 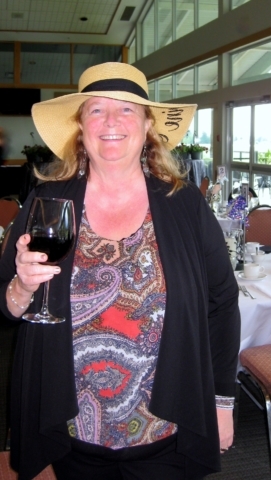 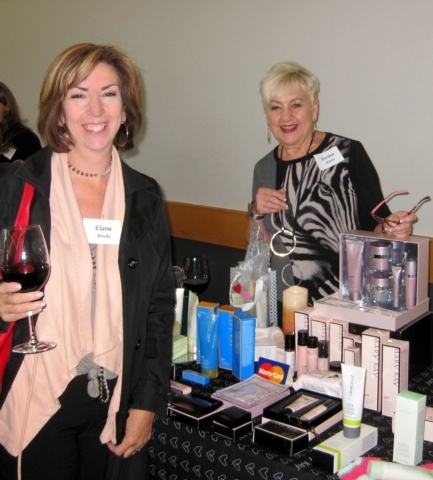 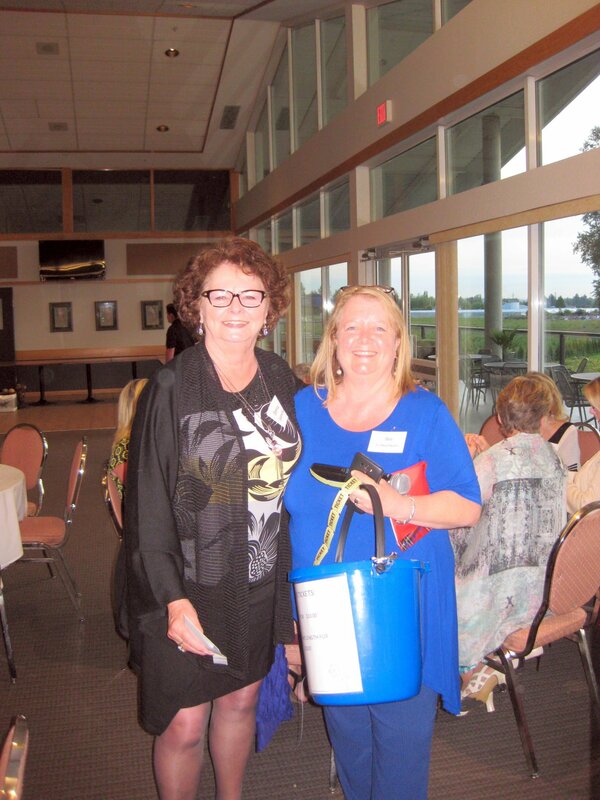 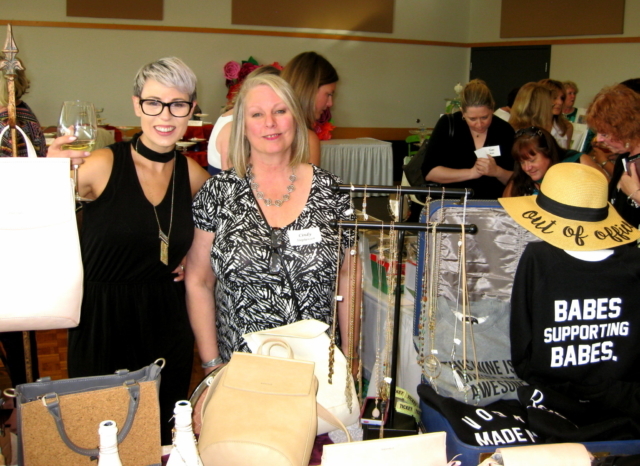 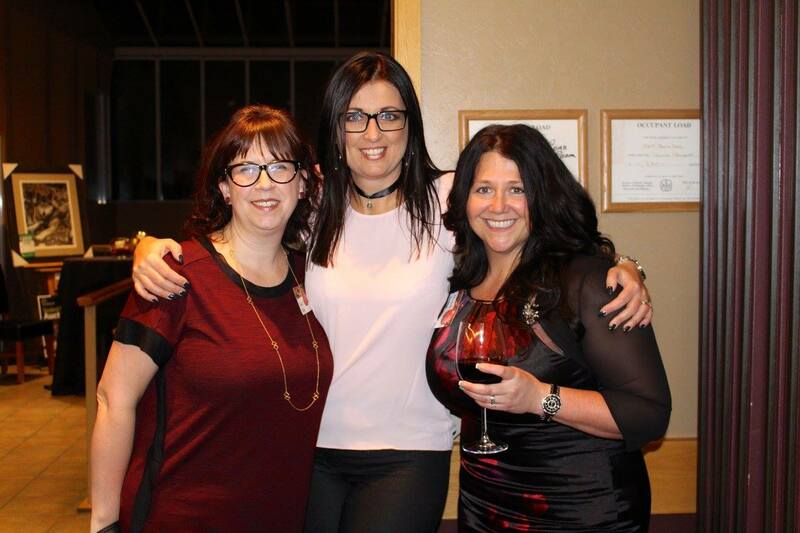 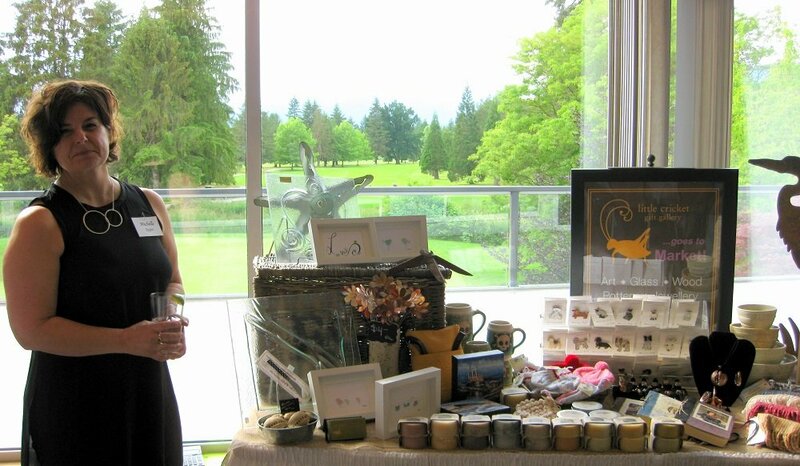 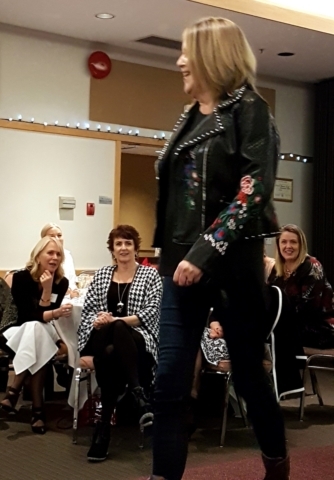 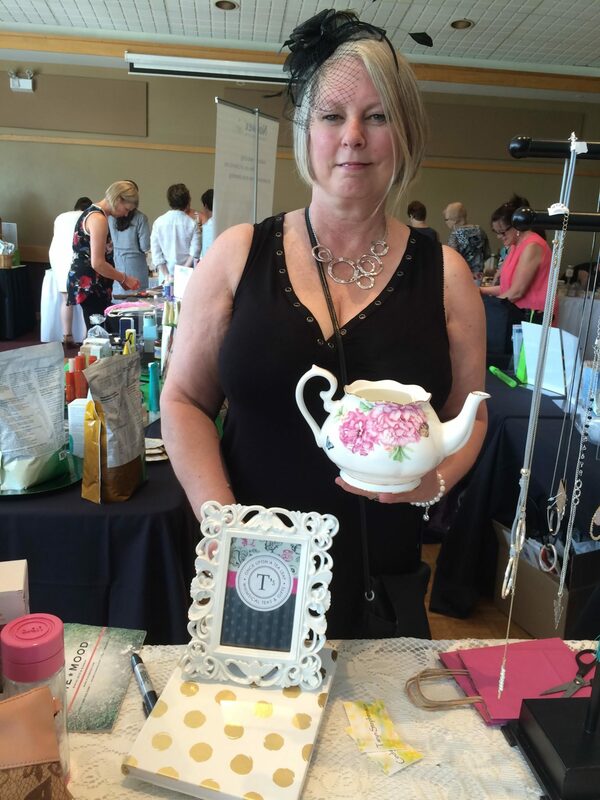 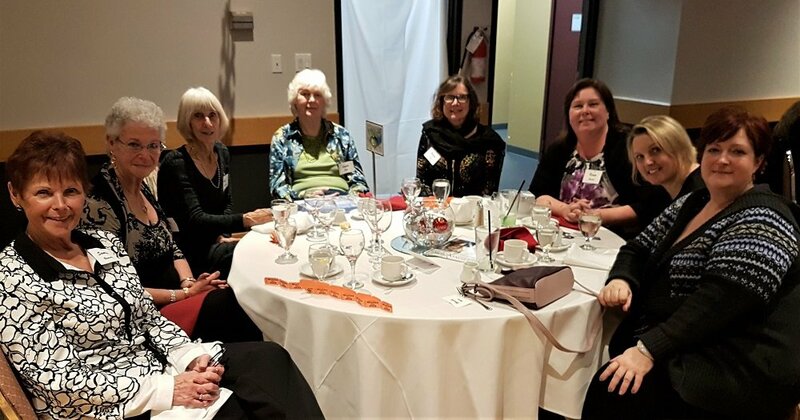 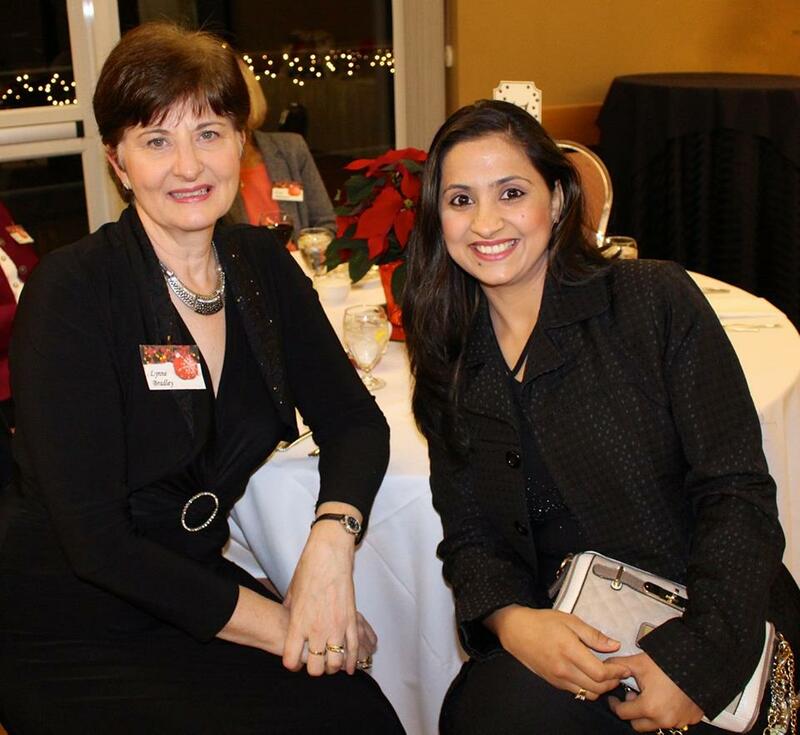 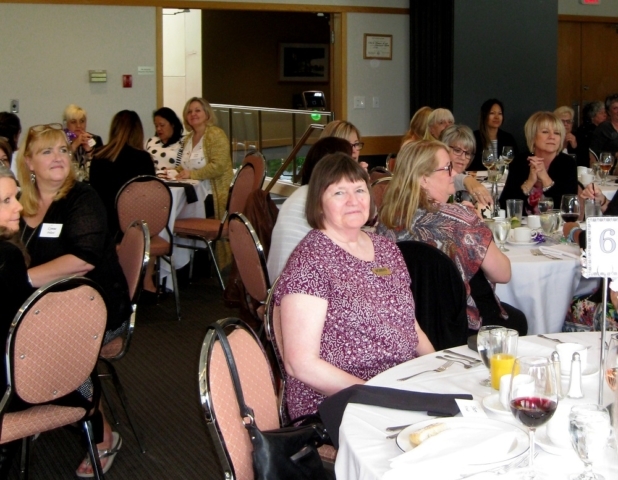 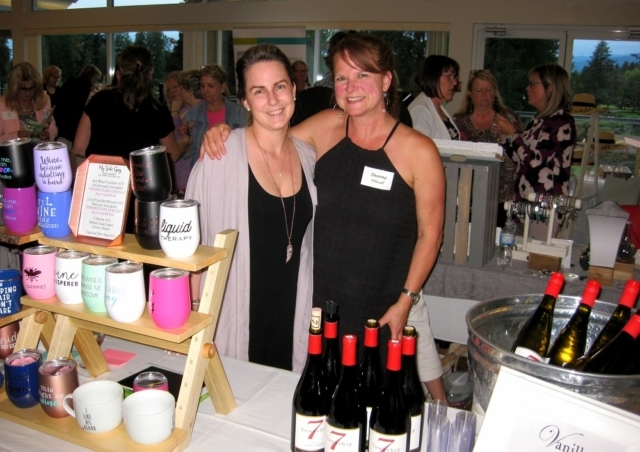 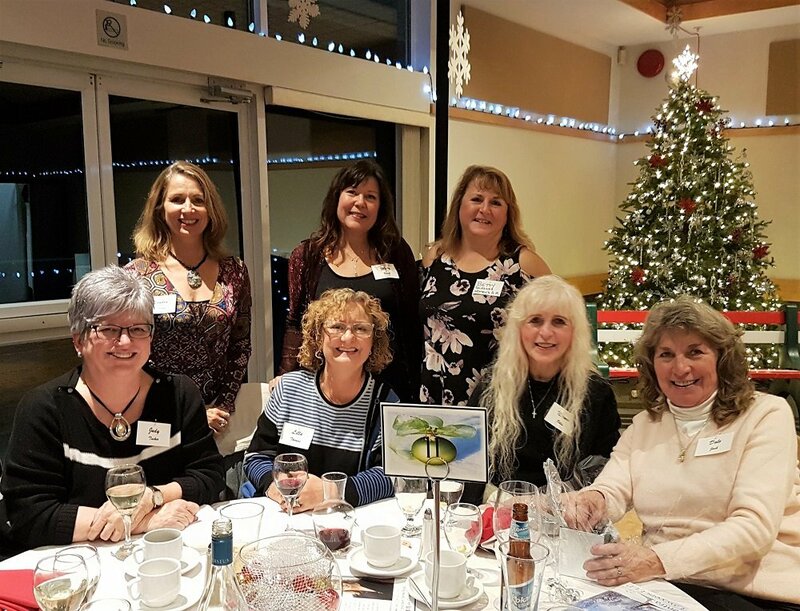 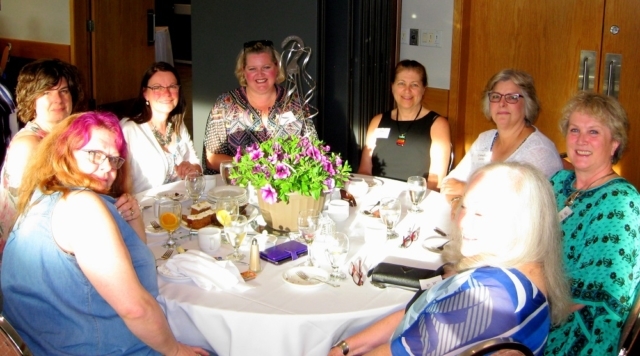 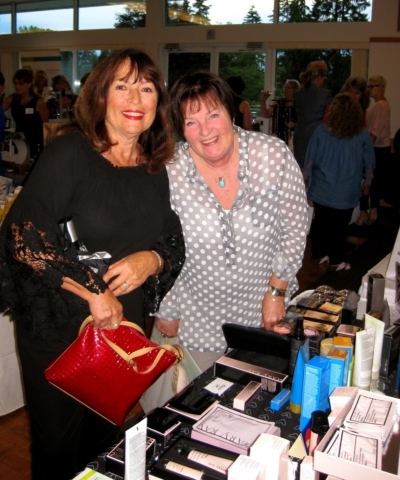 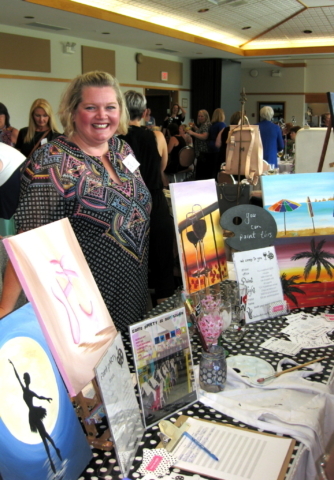 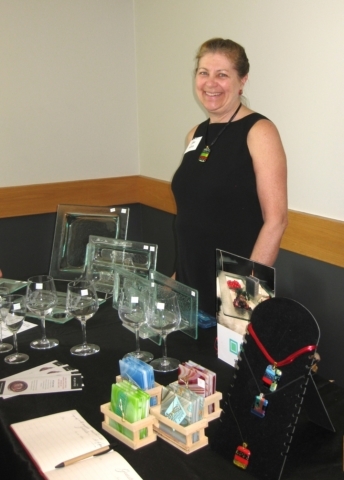 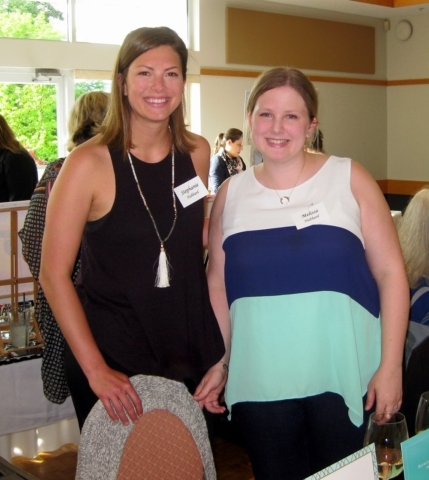 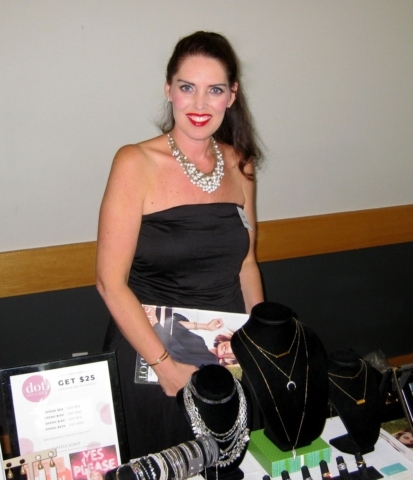 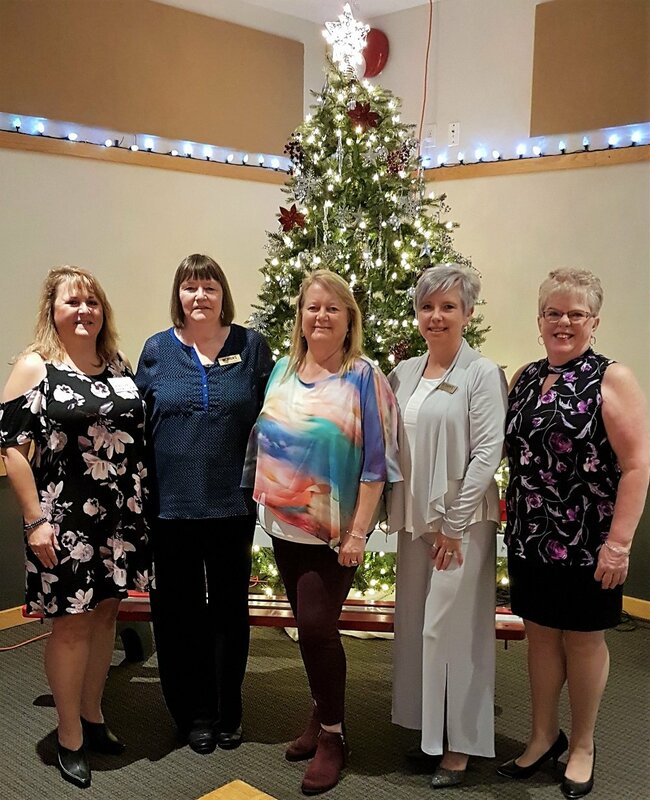 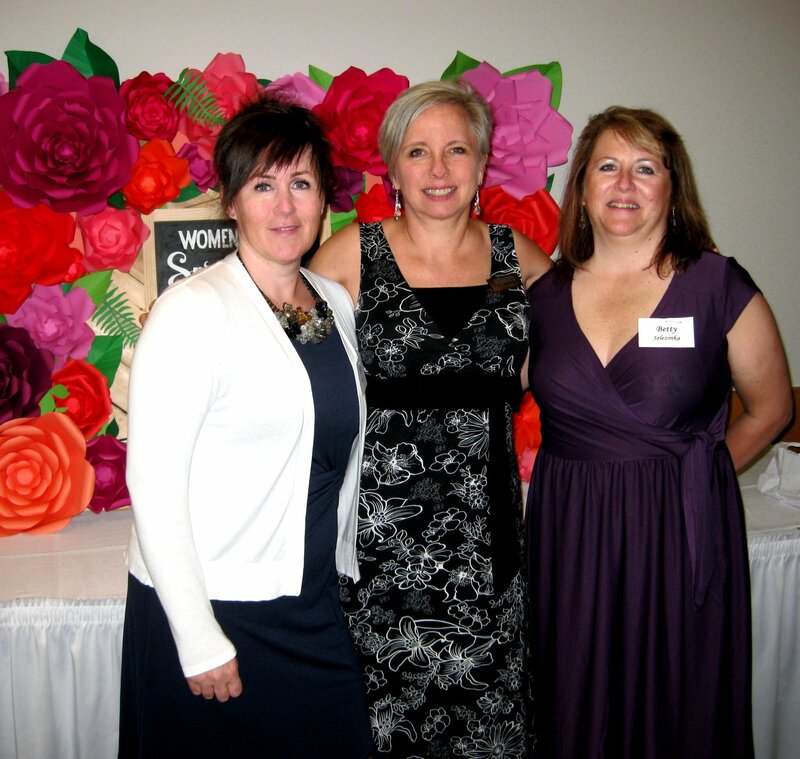 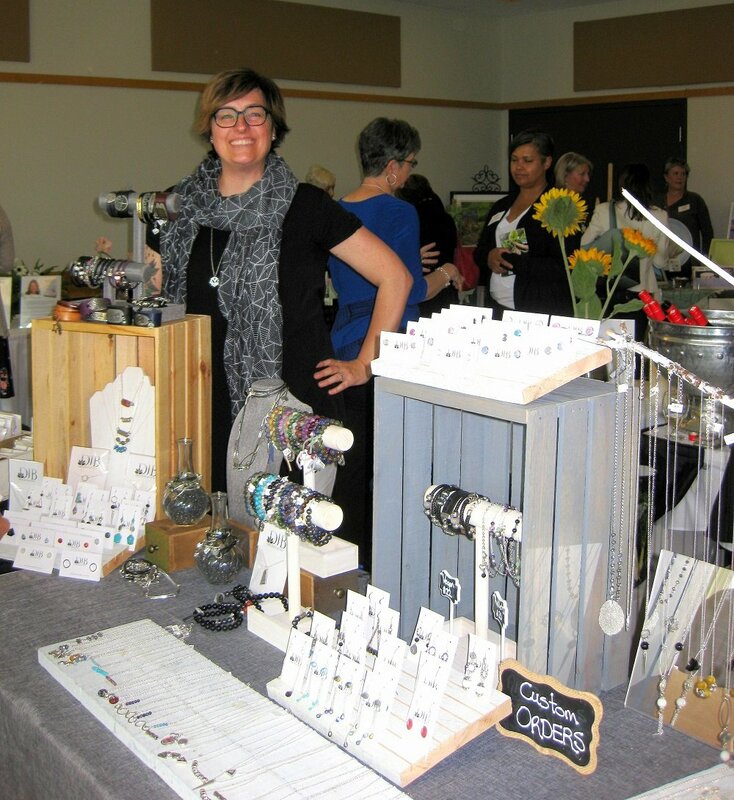 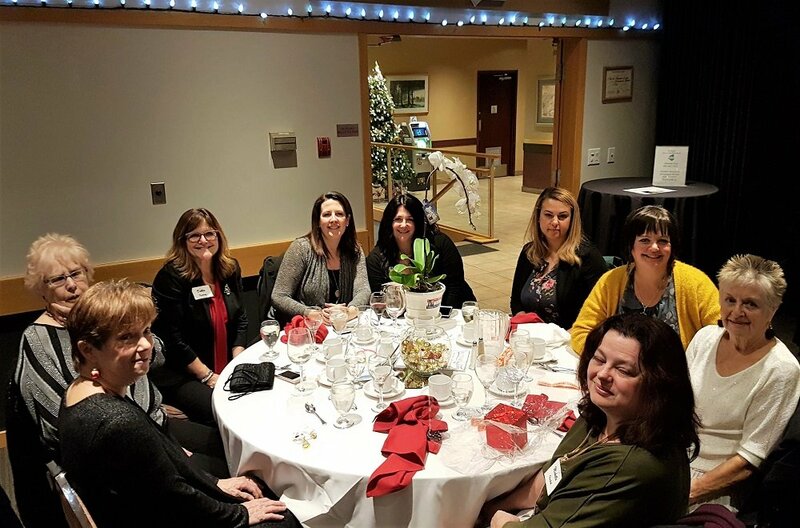 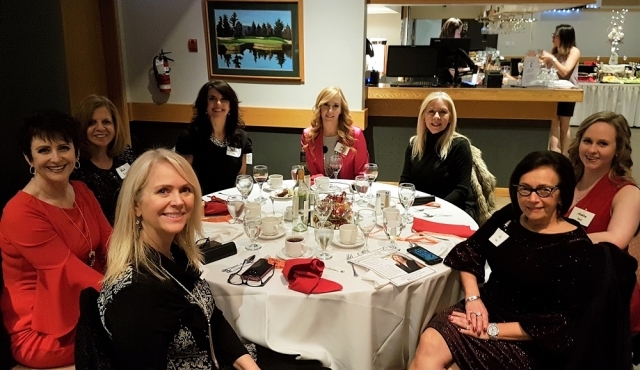 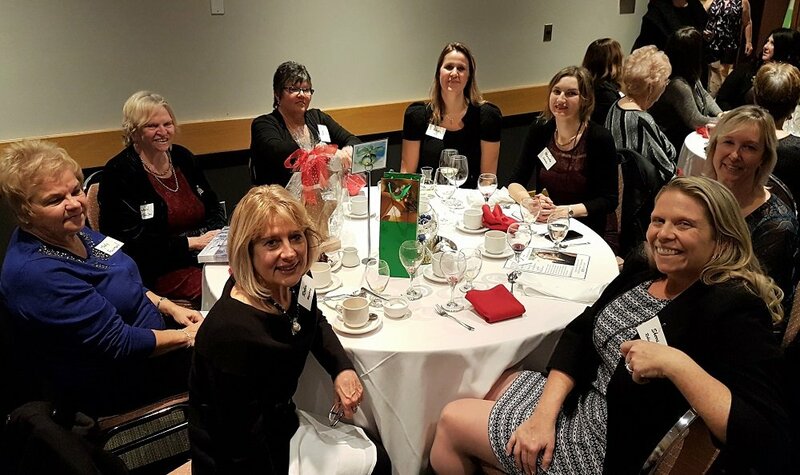 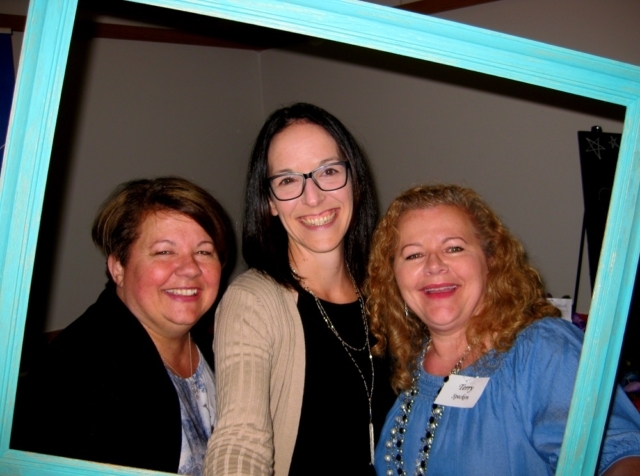 Attendees of our annual Spring Fling event enjoyed a delicious buffet dinner held in a beautiful setting at The Pitt Meadows Golf Club, had a great time networking with fellow women in business and shopping with the various local vendors and artisans. 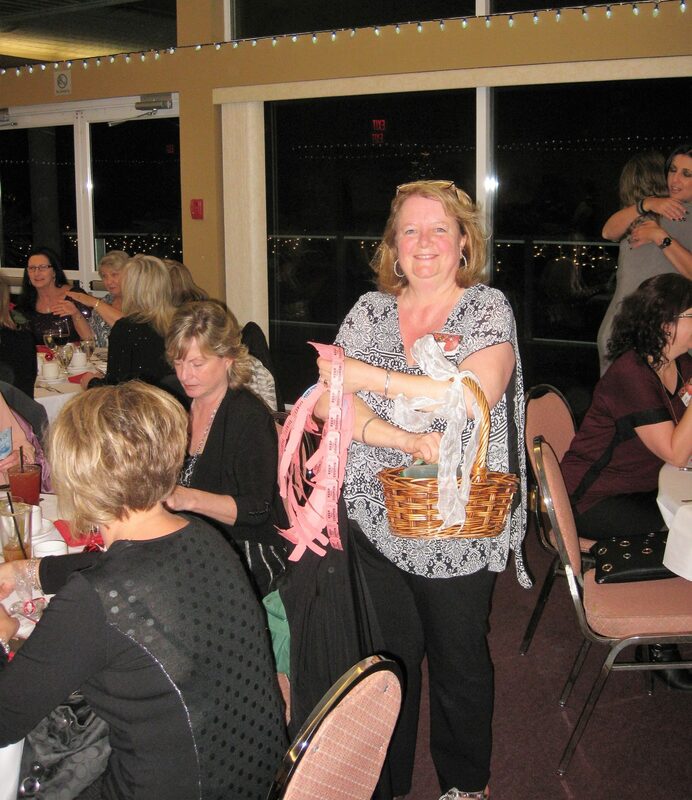 Thanks to everyone who contributed a door prize and congratulations to all the lucky ladies who took them home, including the 50/50 prize pool winner! 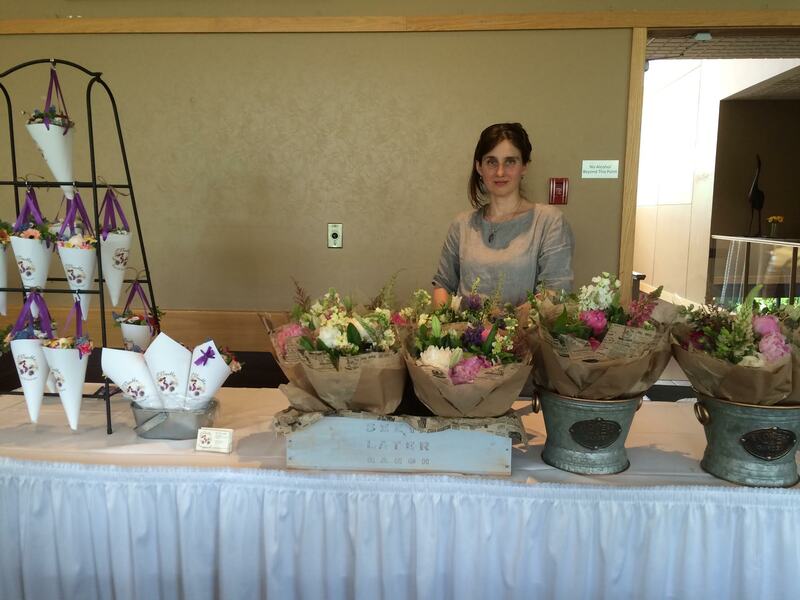 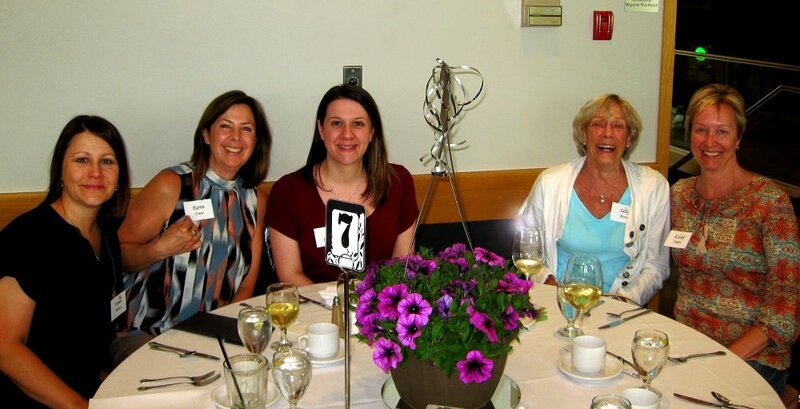 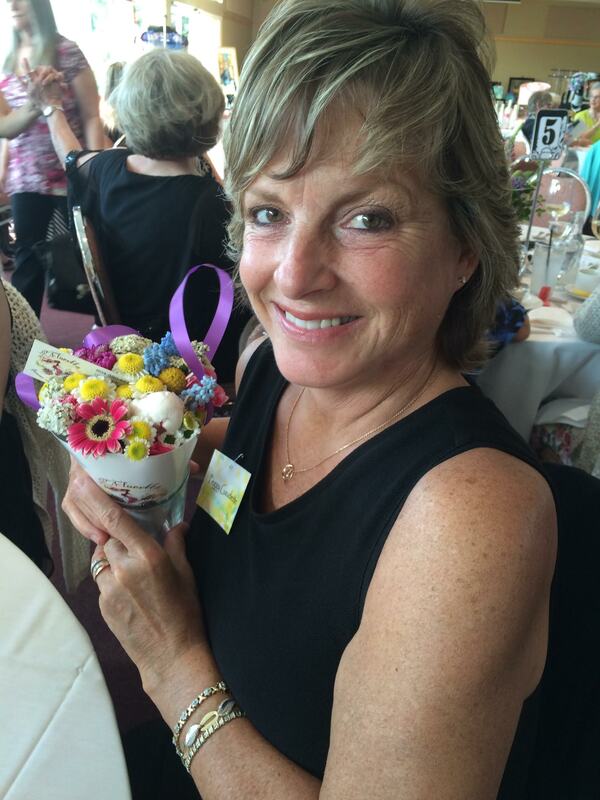 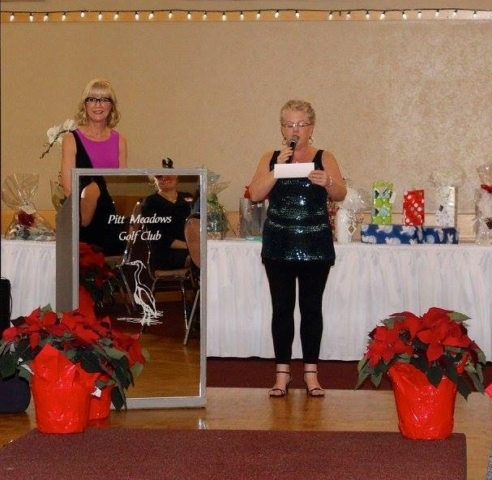 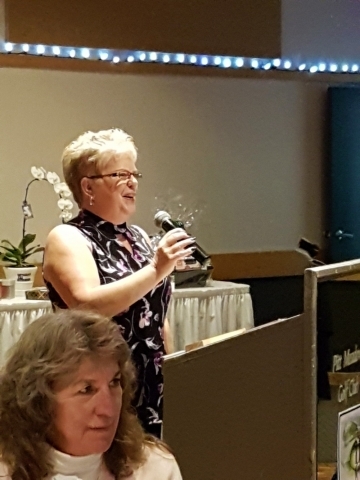 A very special thanks to FLORETTA FLOWER STUDIO & CRAFTS who donated the gorgeous floral centerpieces which were raffled as prizes to one guest from each table to complete the night. 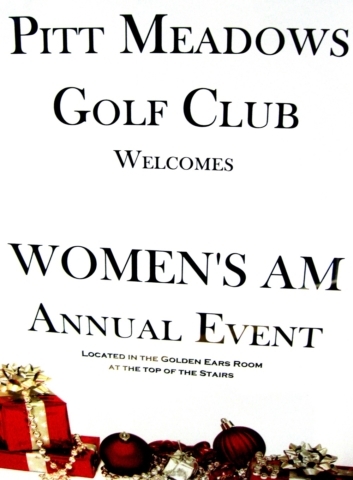 Have a great summer and we look forward to seeing you on Thursday, September 8th, which is the first meeting in our Women’s AM Fall series. 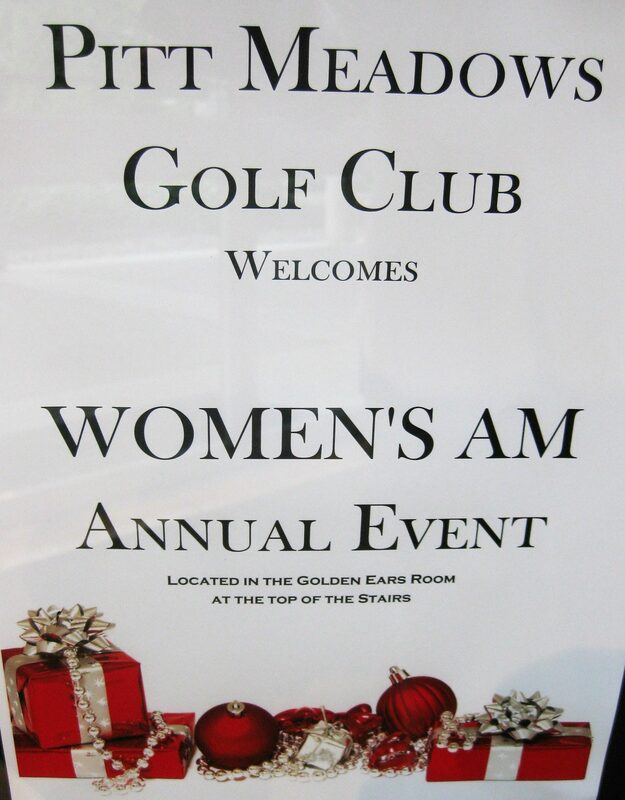 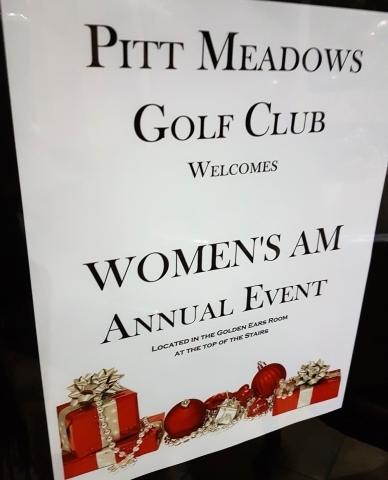 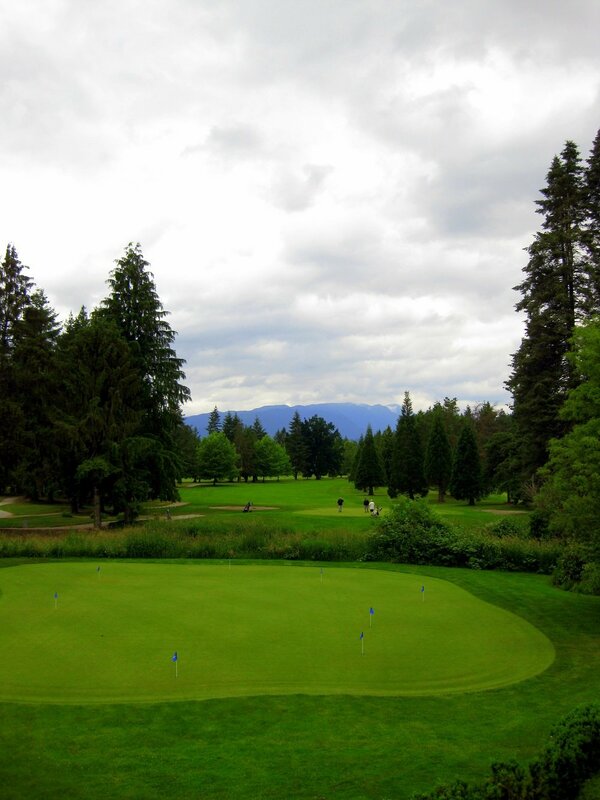 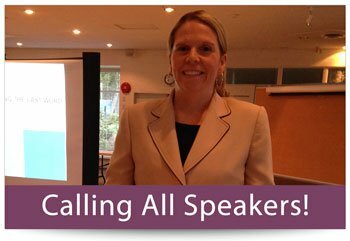 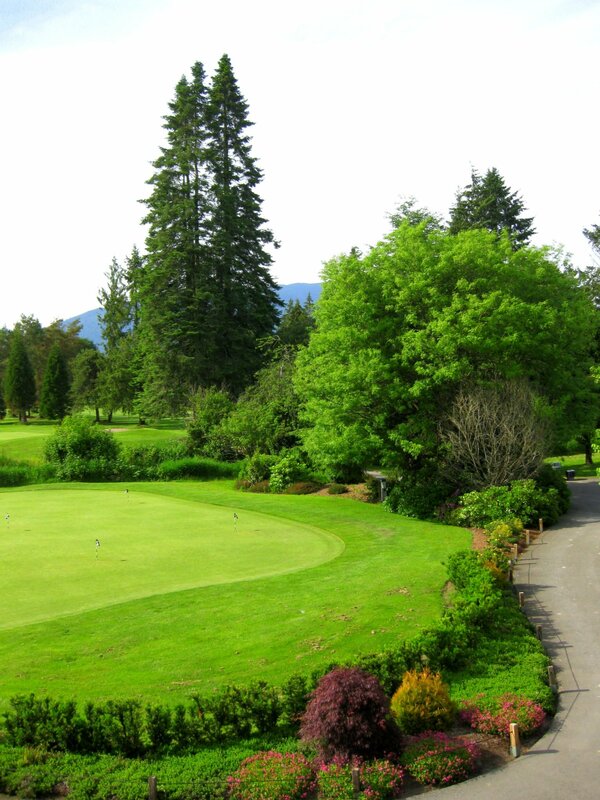 Stay-tuned for meeting details, and if you wish to be added to our e-mail list, be sure to let us know by clicking on the link which can be found on the home page of our website at www.womensam.ca.